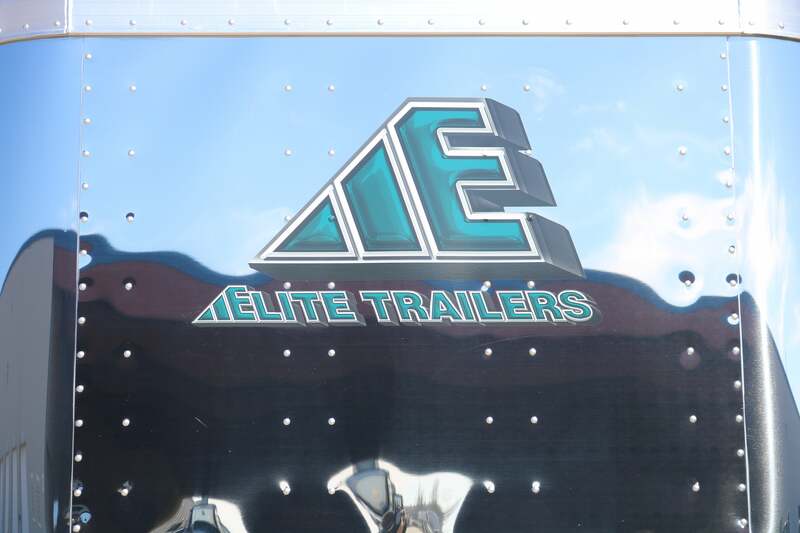 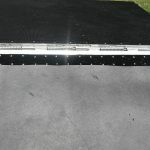 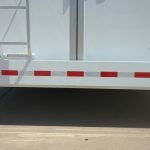 Side load trailers are a customized slant load trailer. 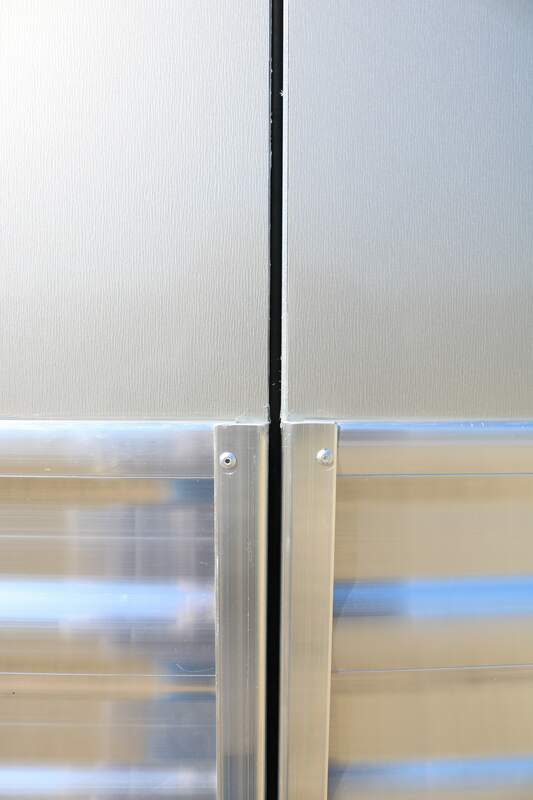 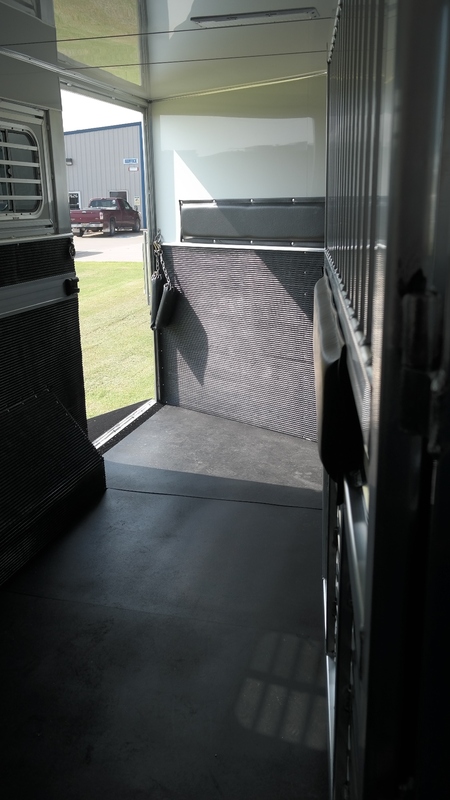 The load door for the horse has been moved to the side of the last horse. 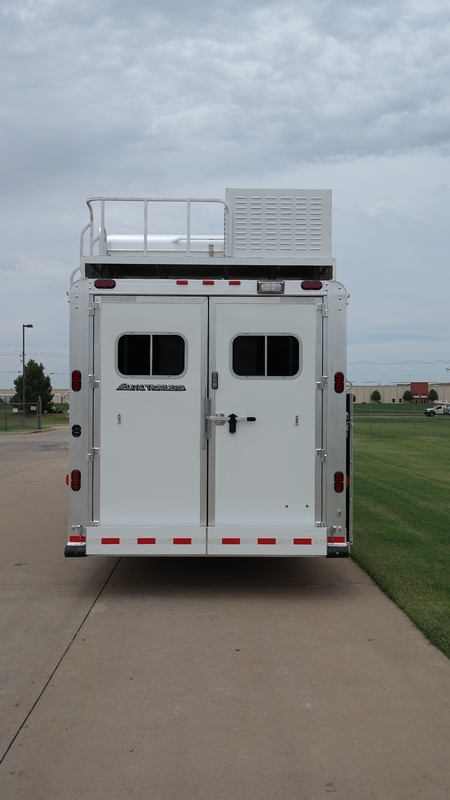 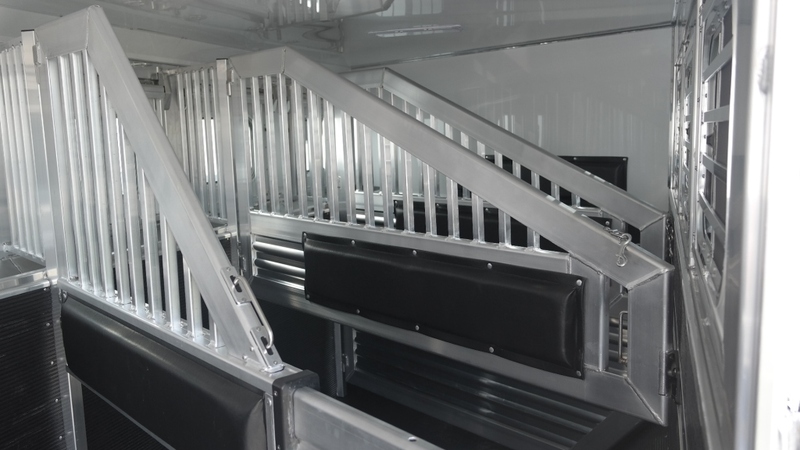 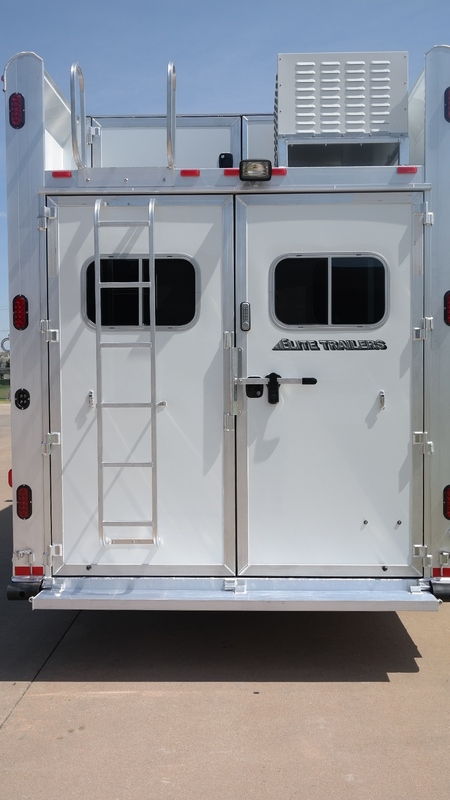 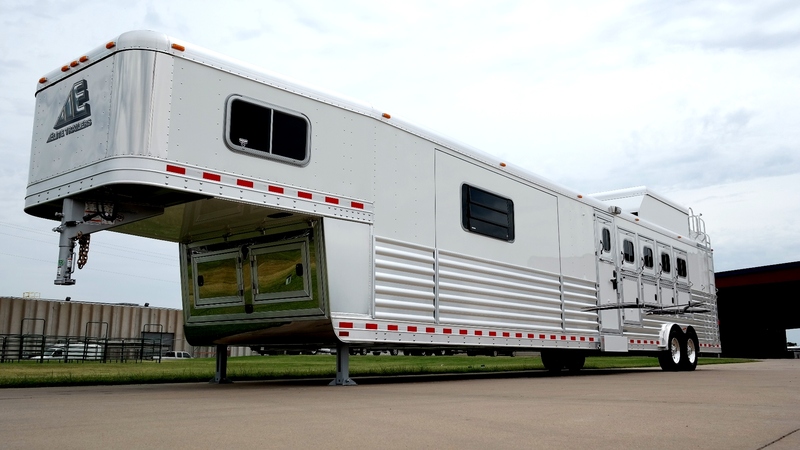 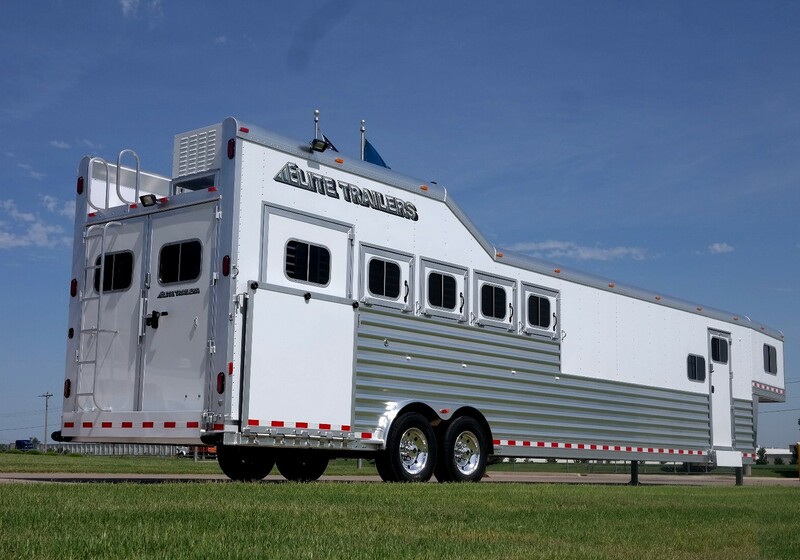 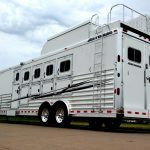 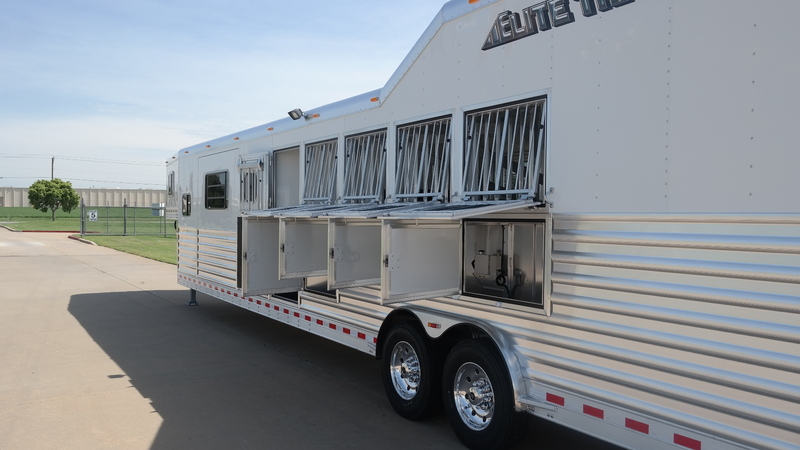 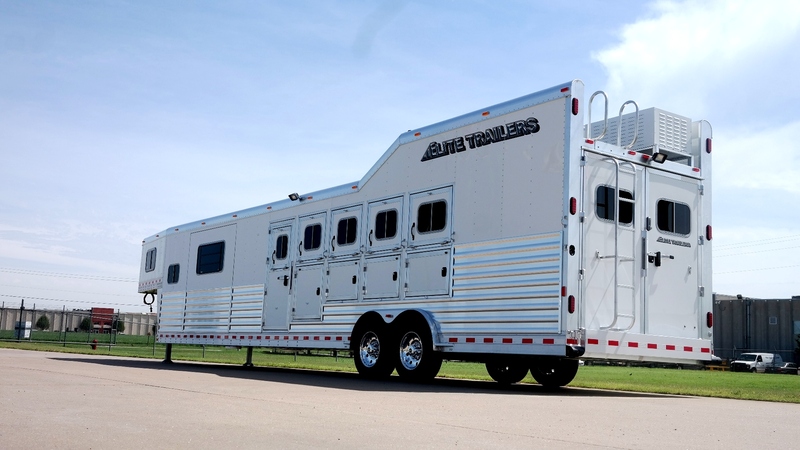 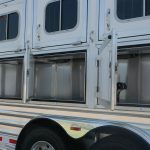 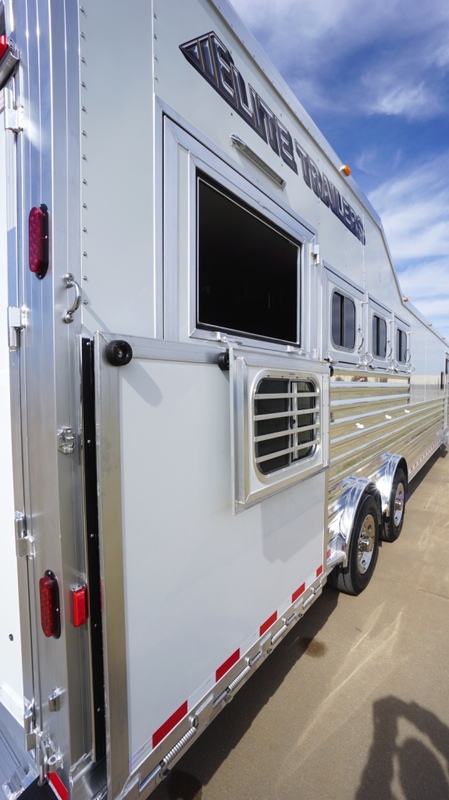 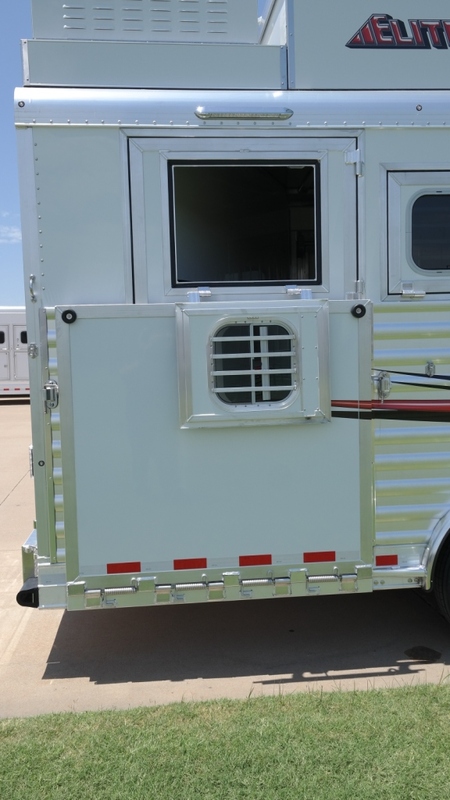 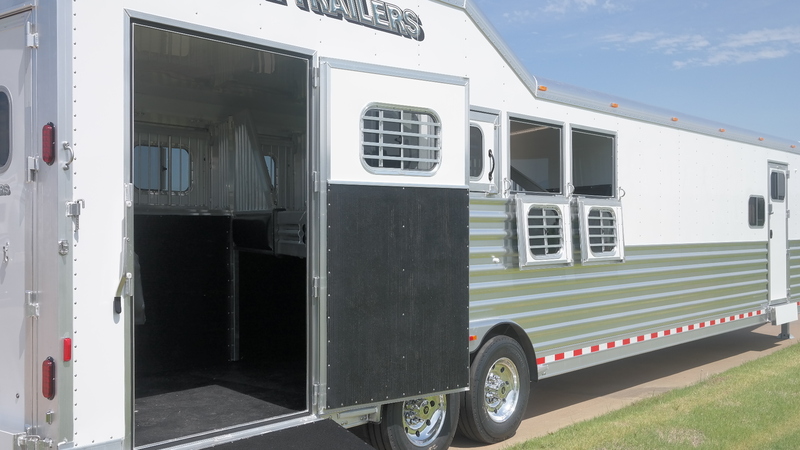 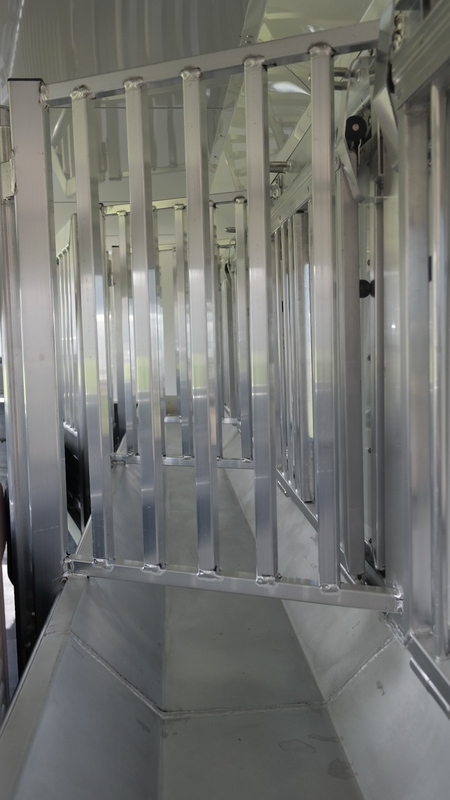 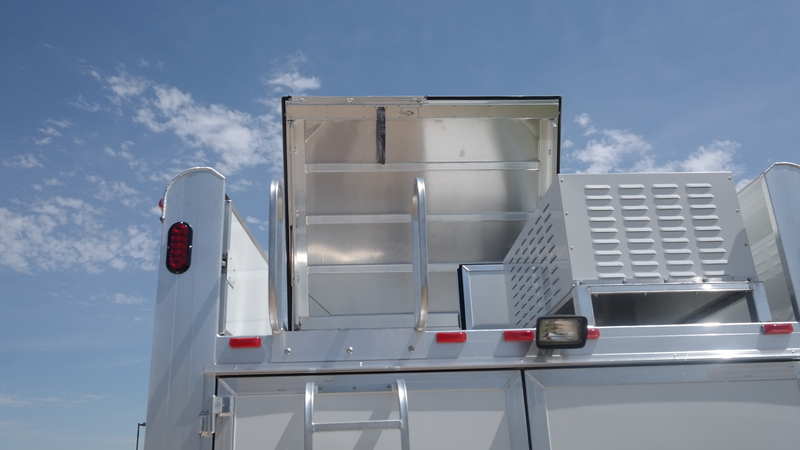 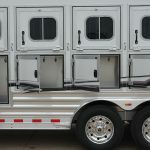 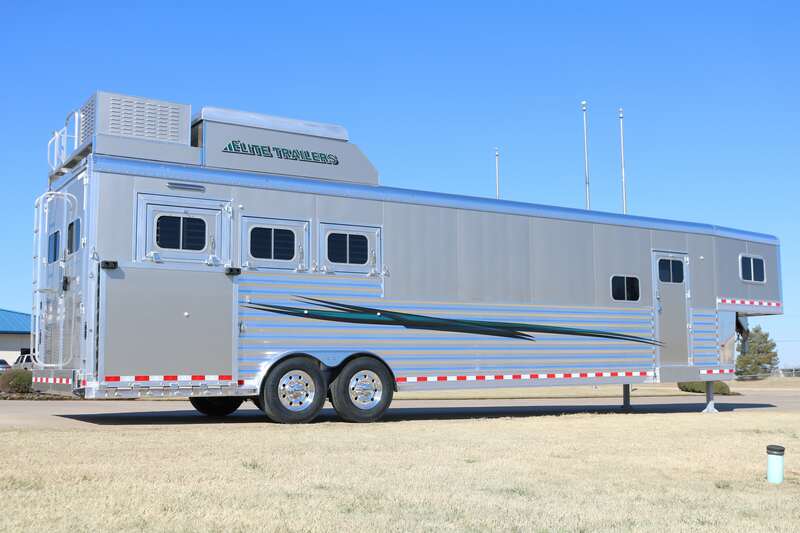 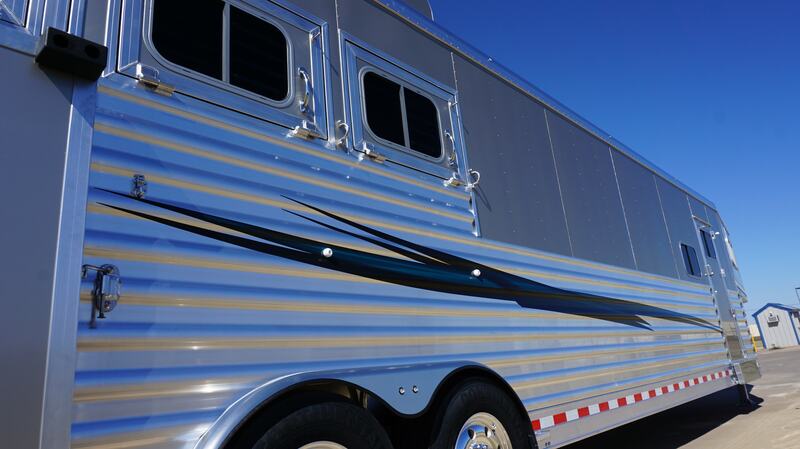 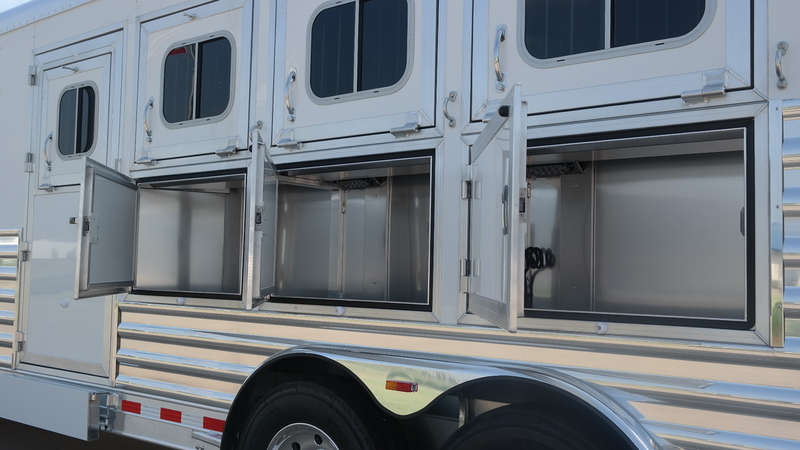 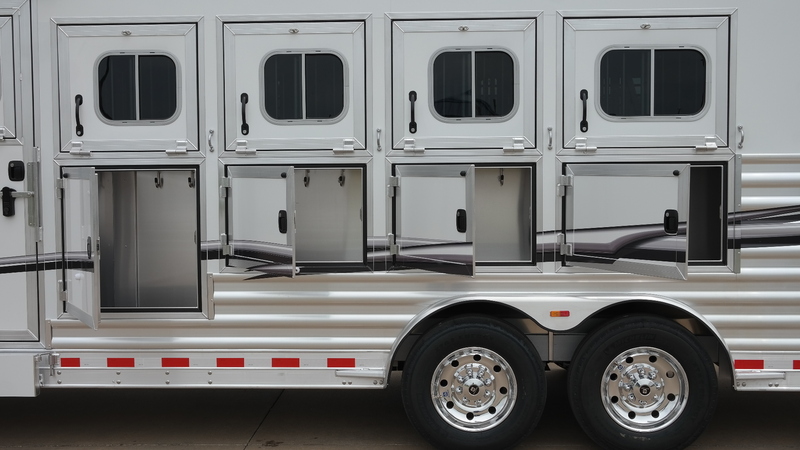 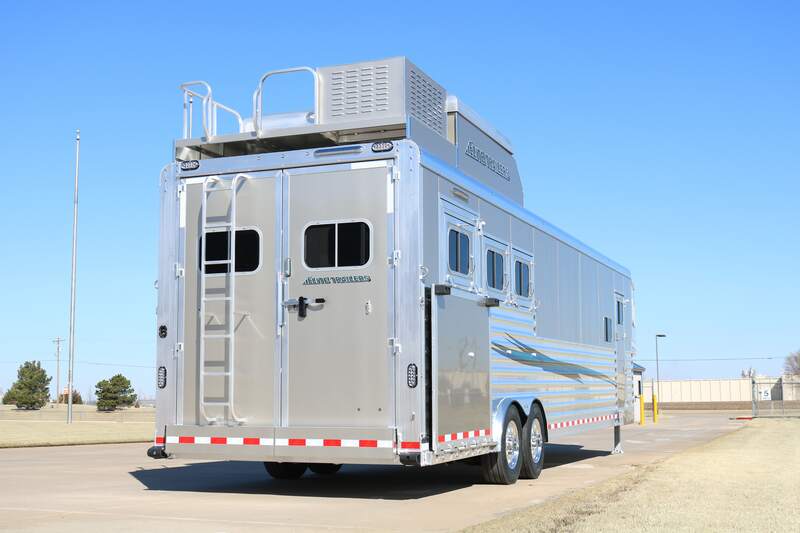 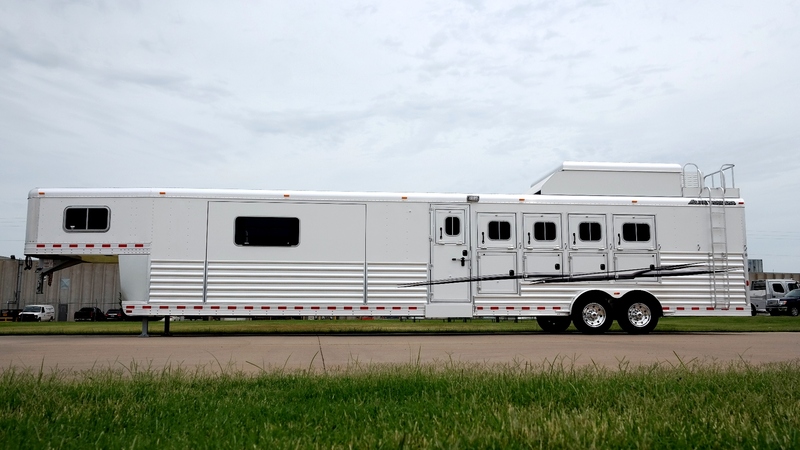 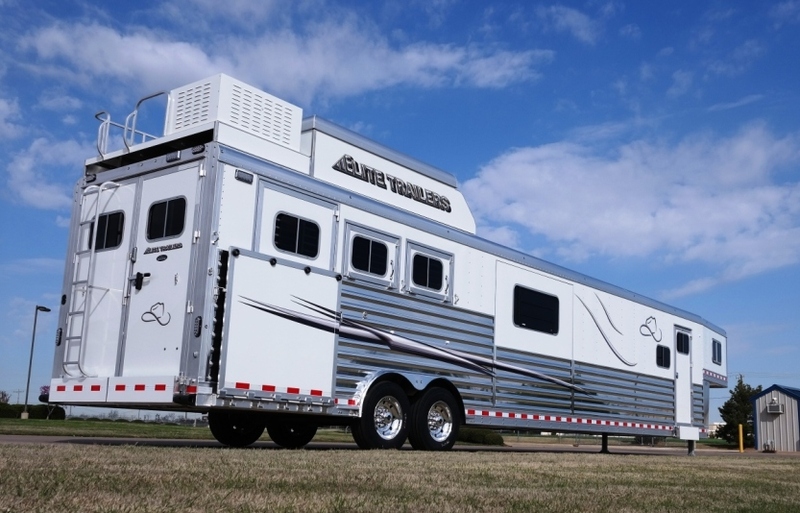 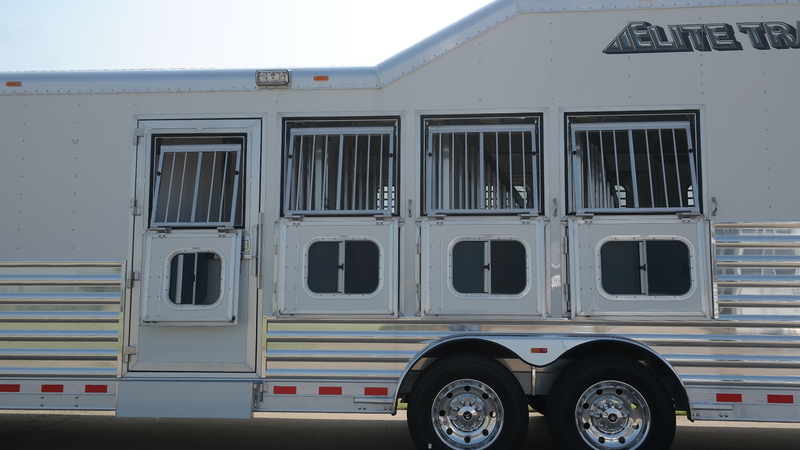 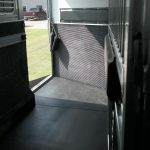 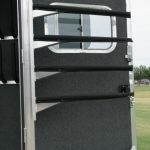 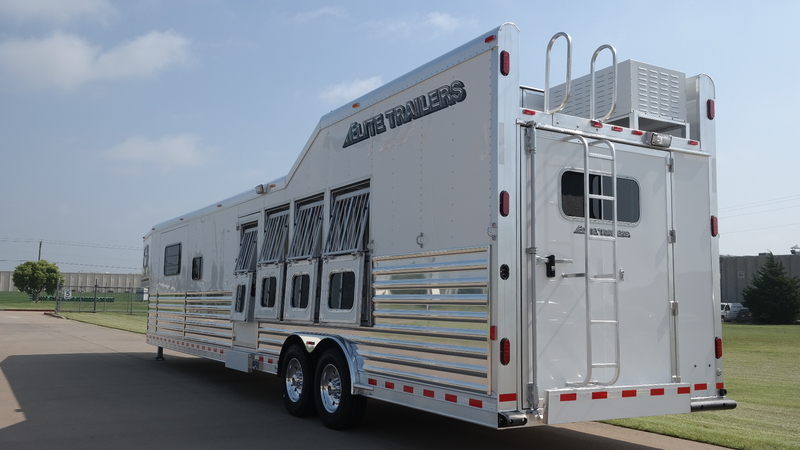 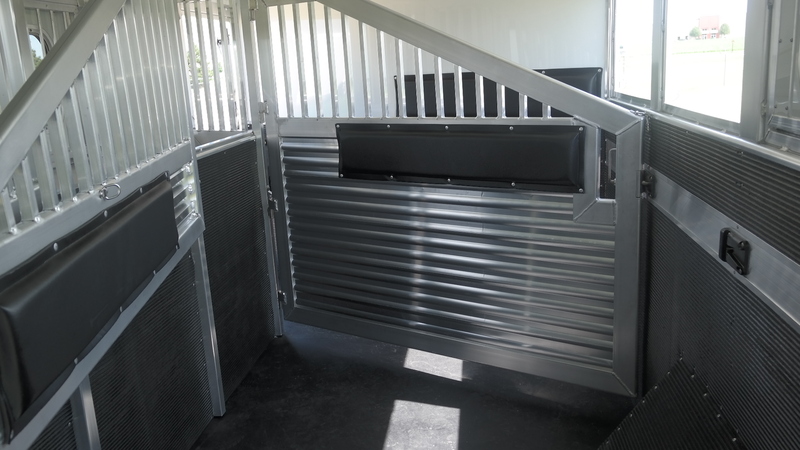 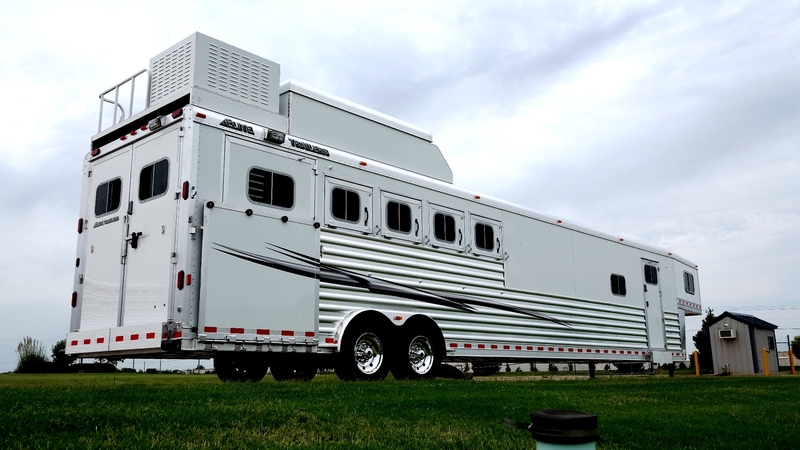 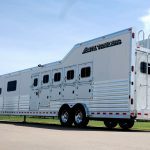 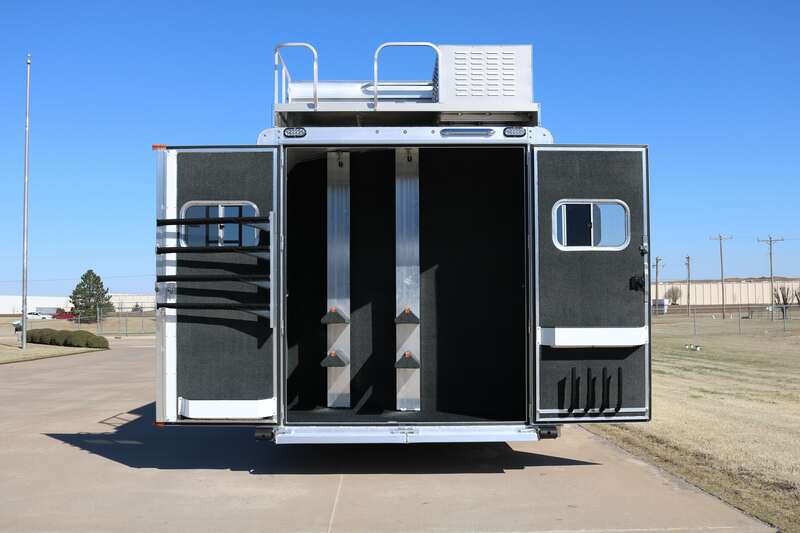 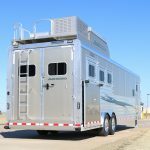 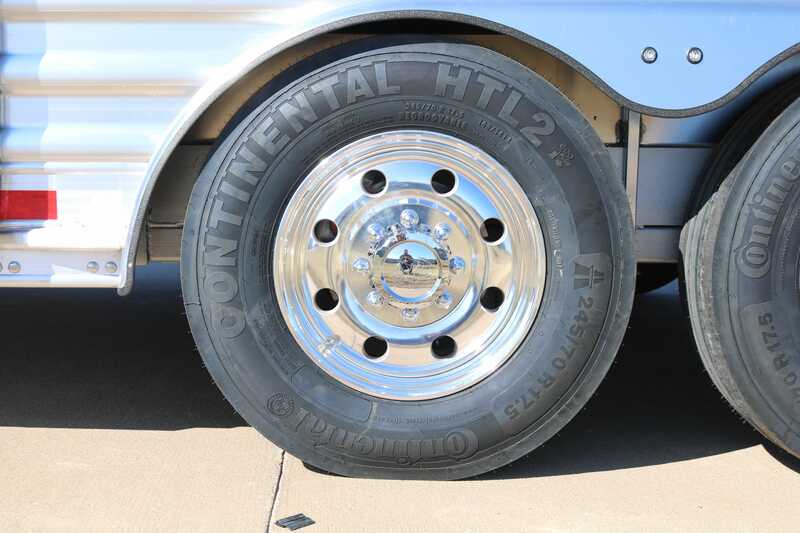 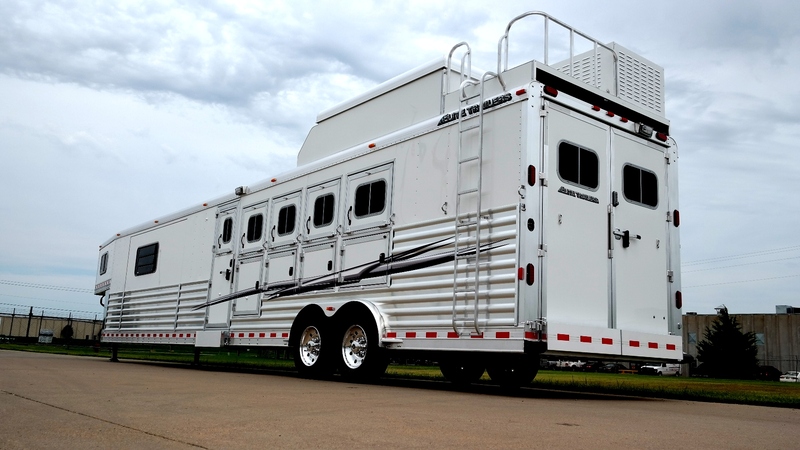 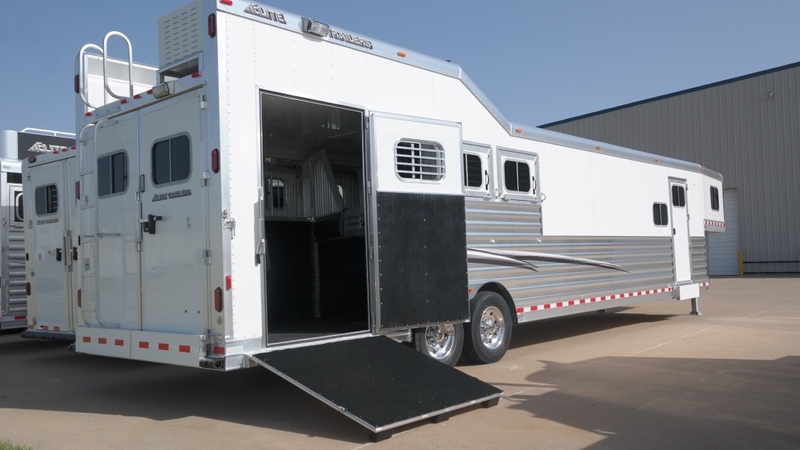 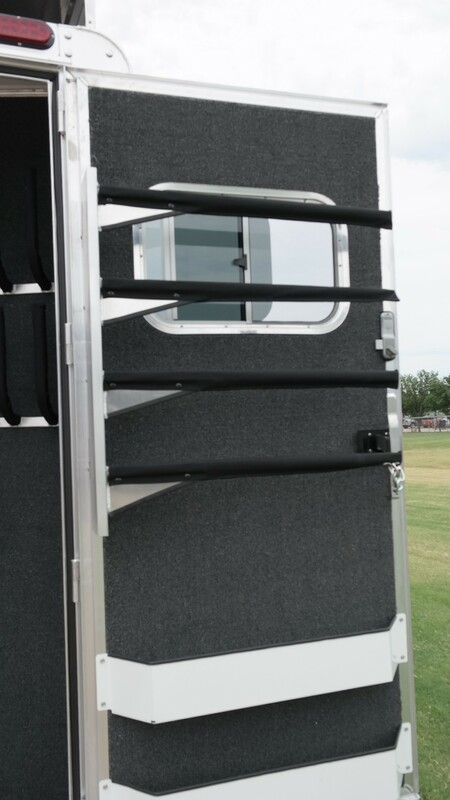 All horses will load on and off the side instead of through the rear like the conventional slant load trailer. 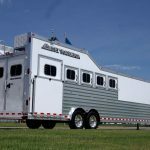 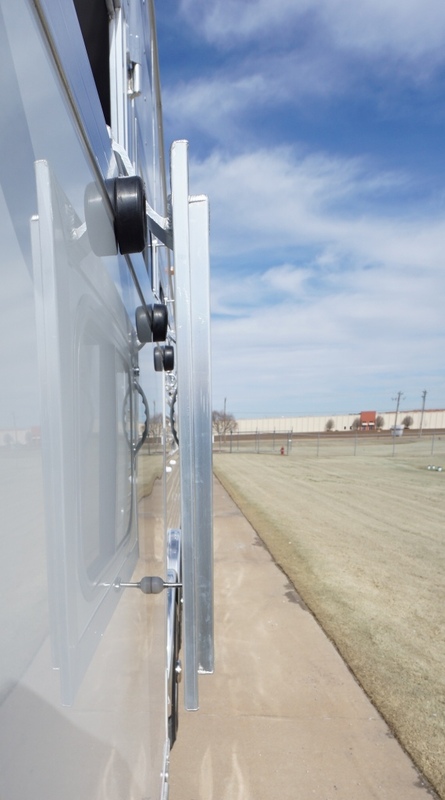 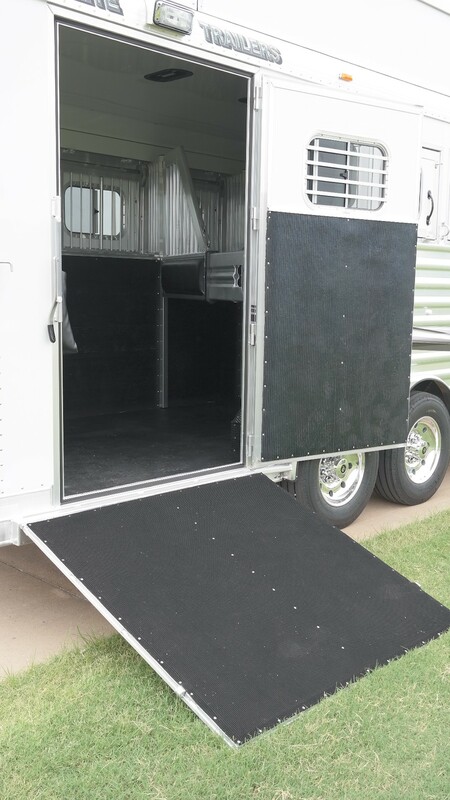 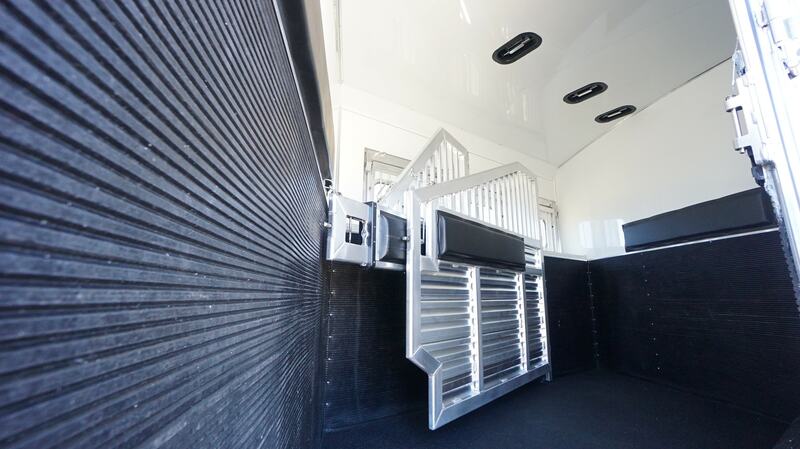 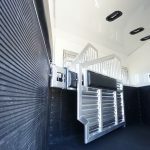 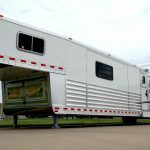 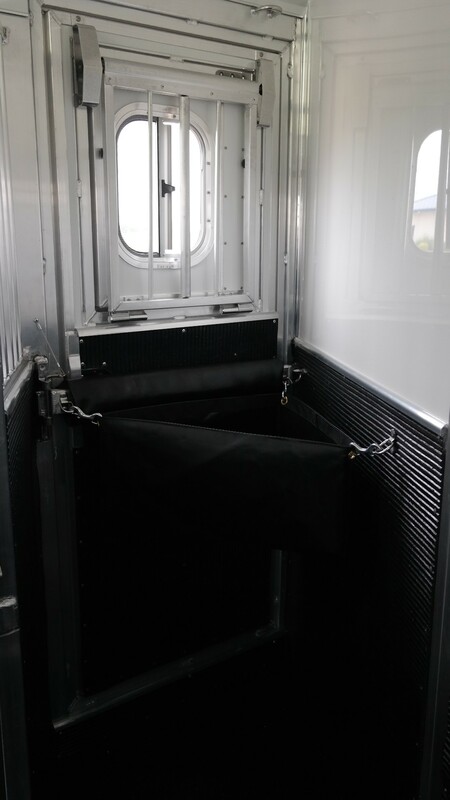 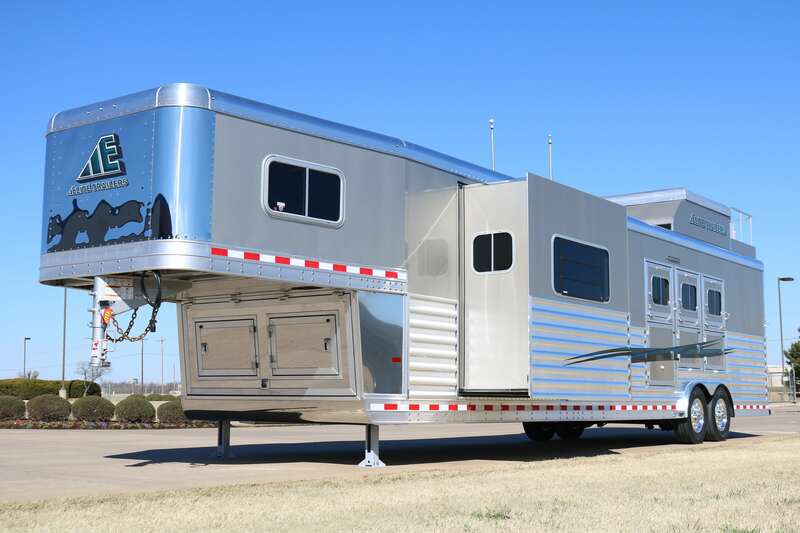 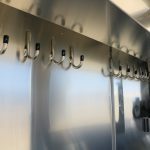 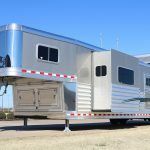 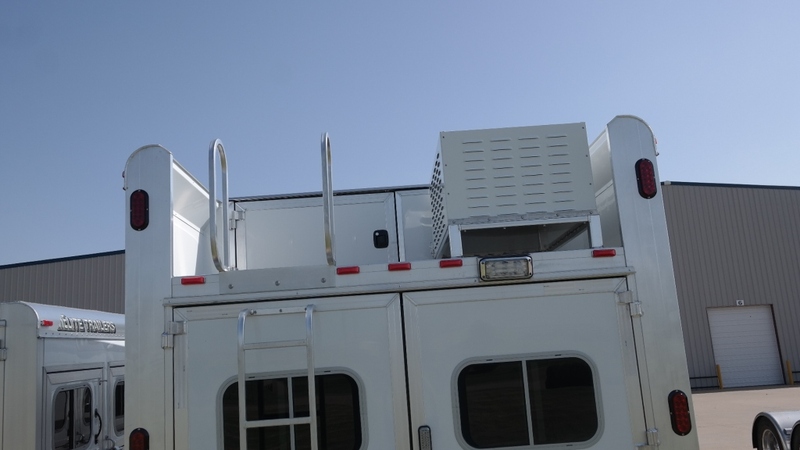 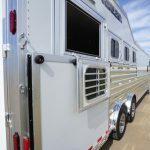 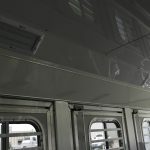 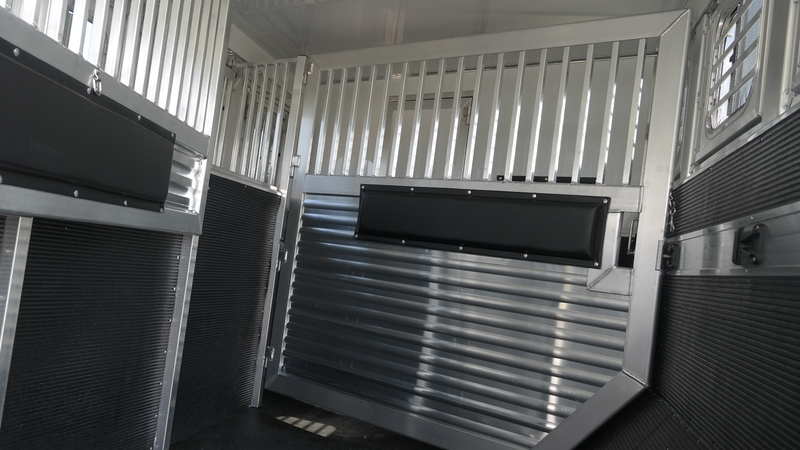 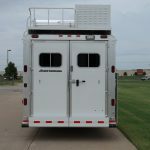 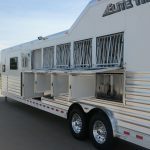 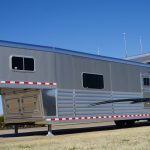 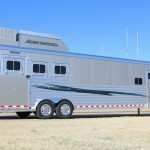 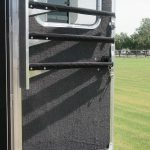 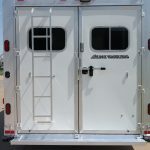 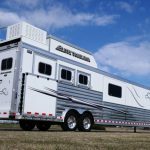 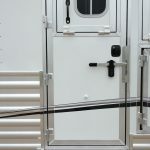 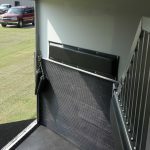 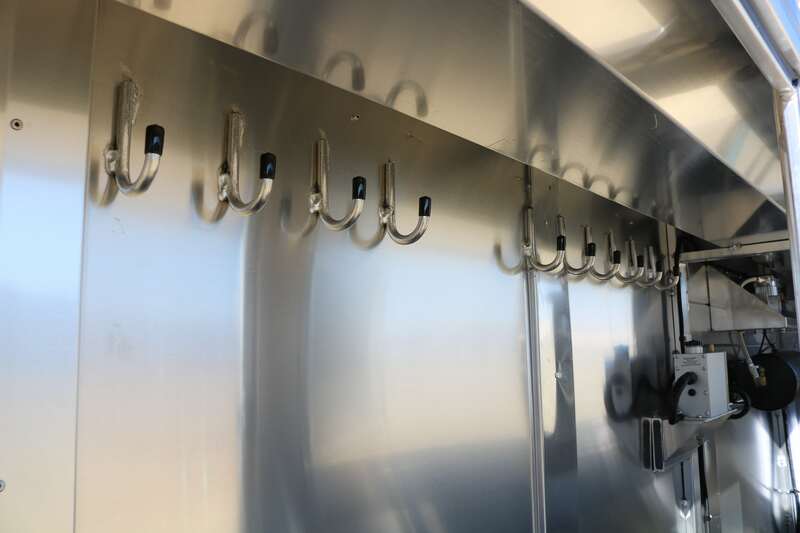 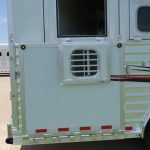 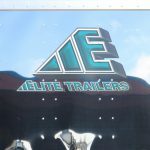 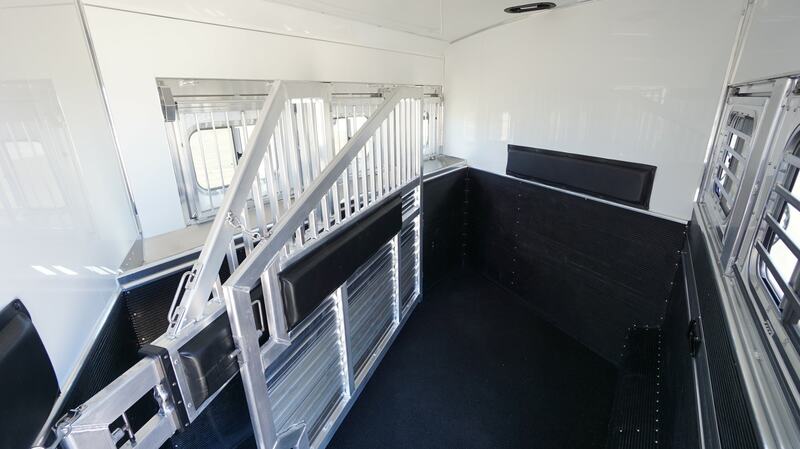 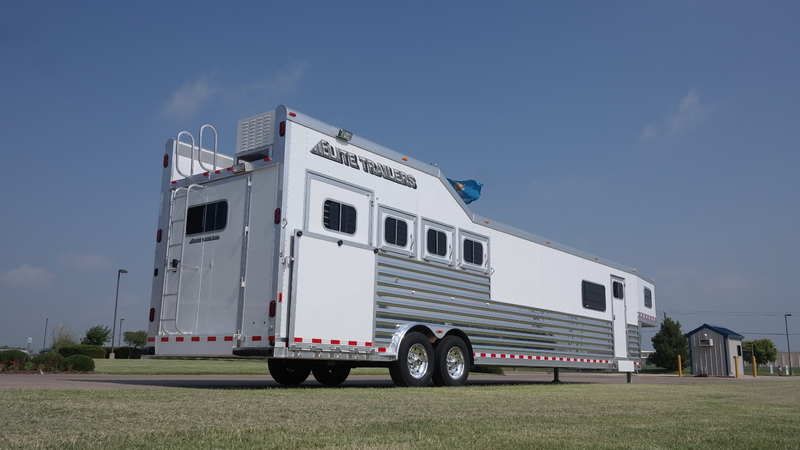 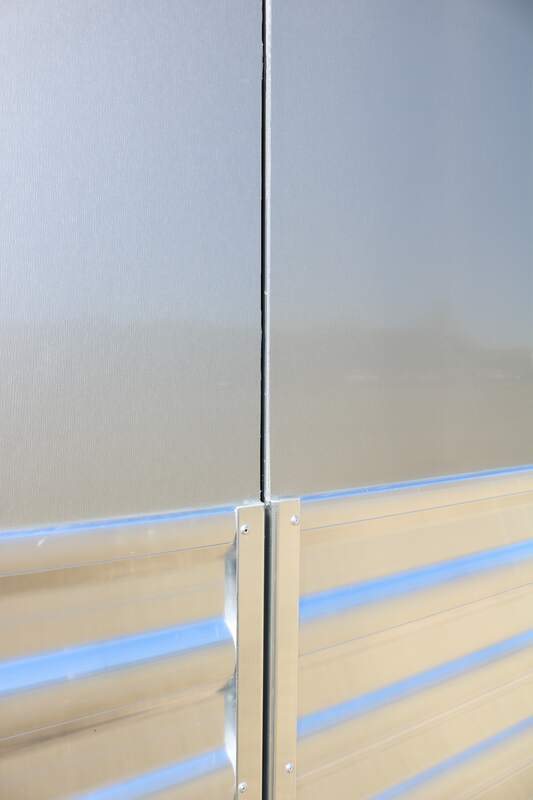 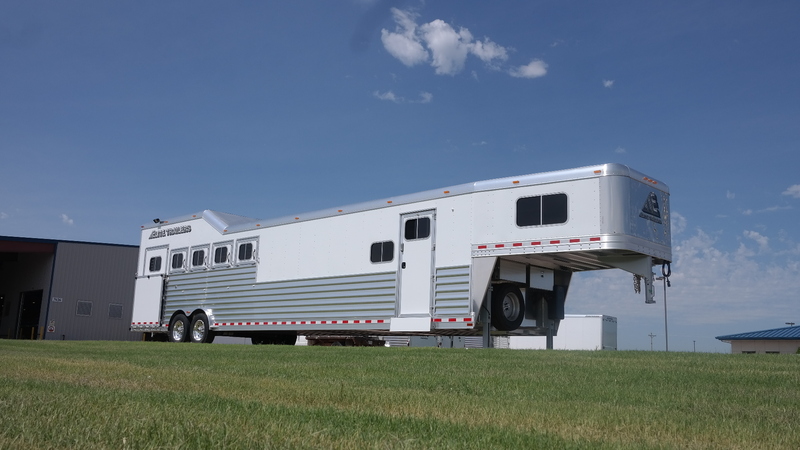 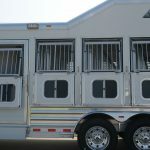 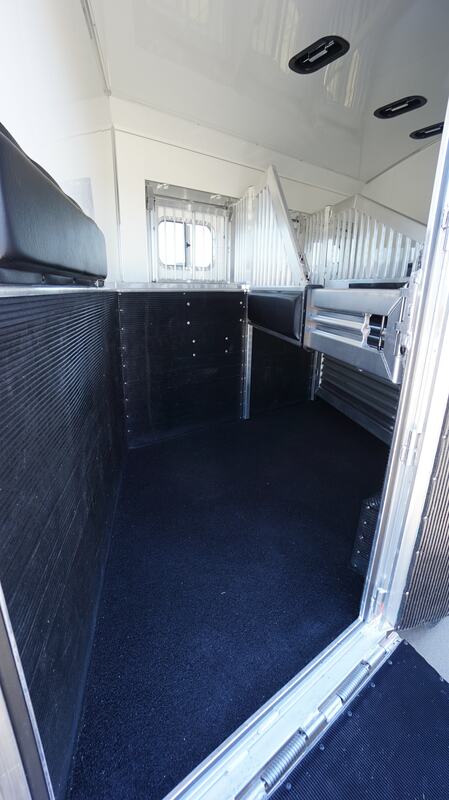 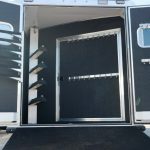 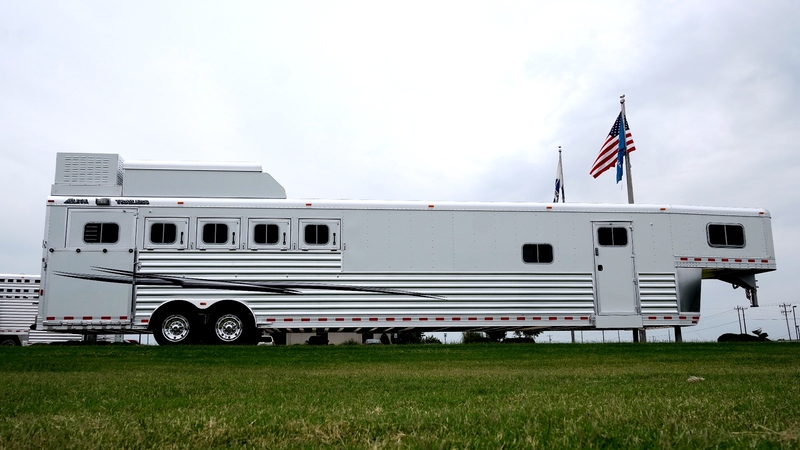 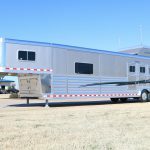 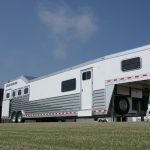 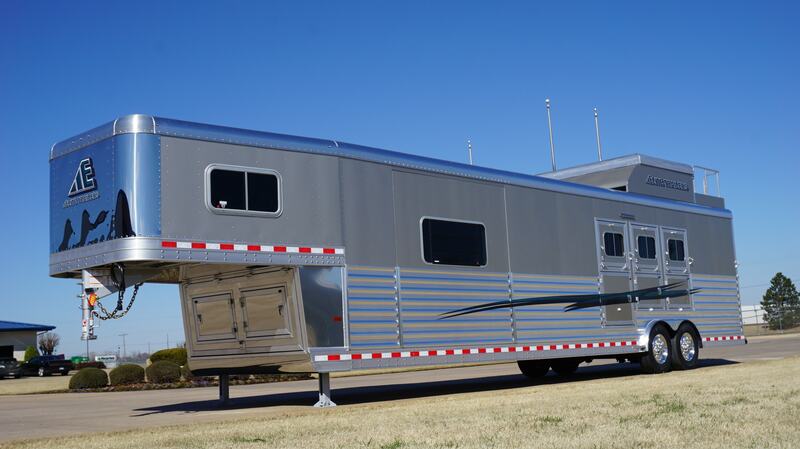 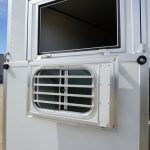 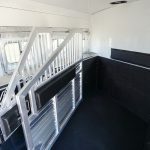 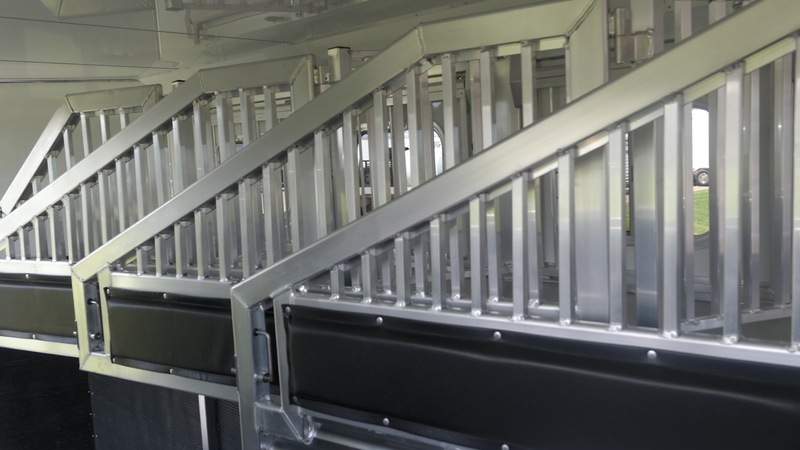 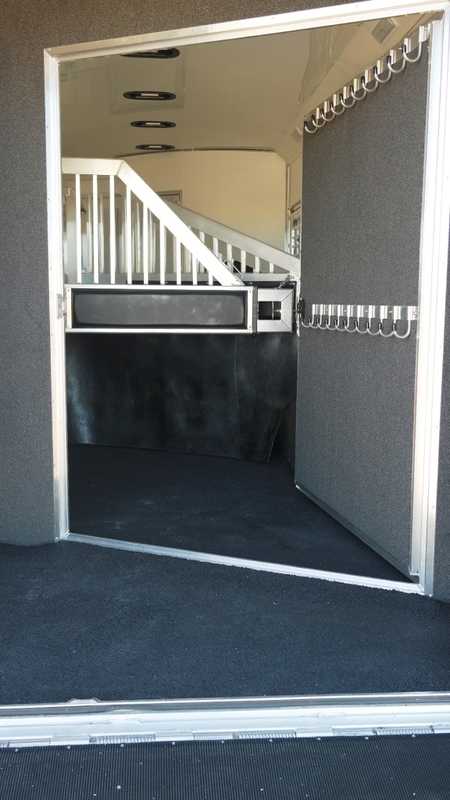 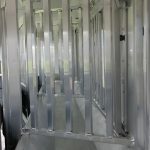 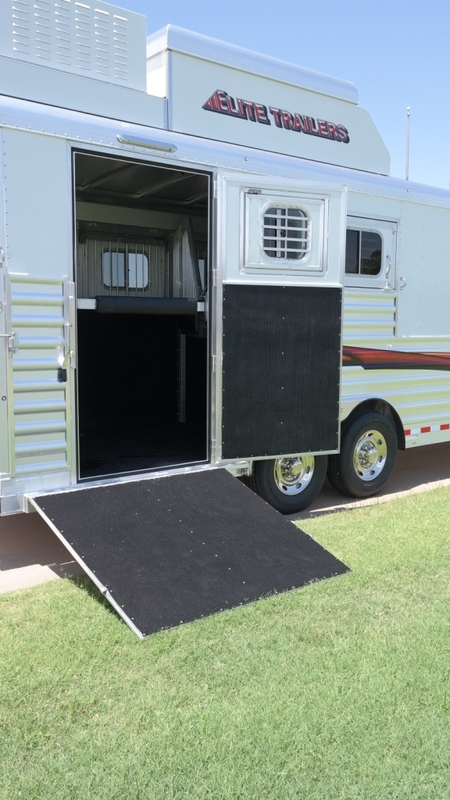 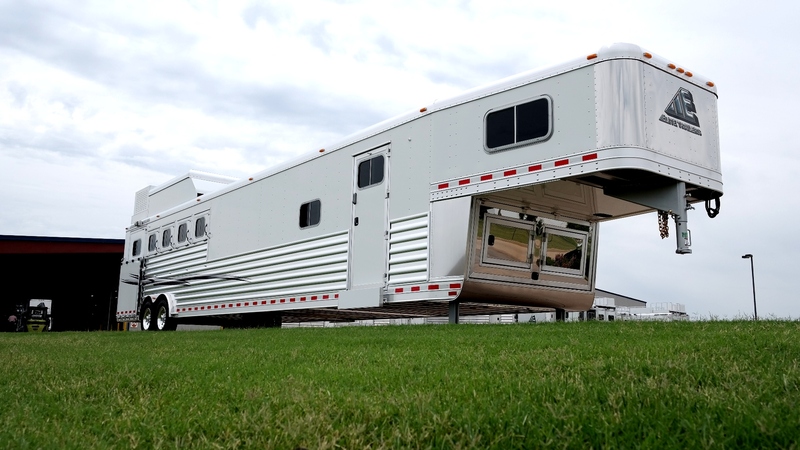 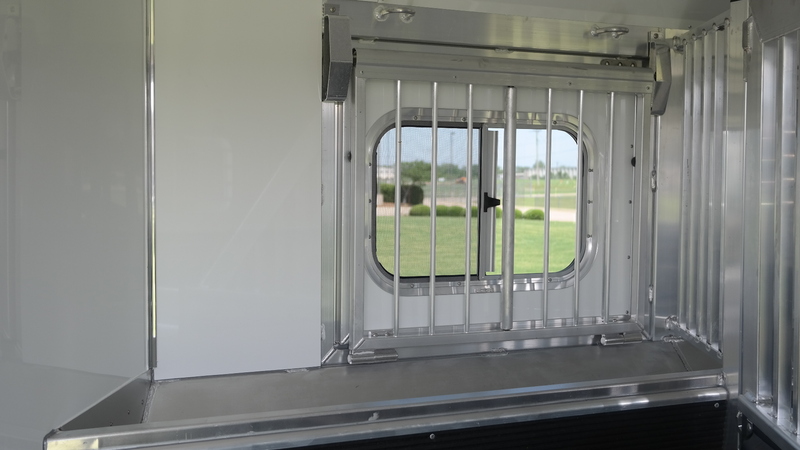 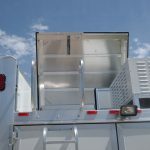 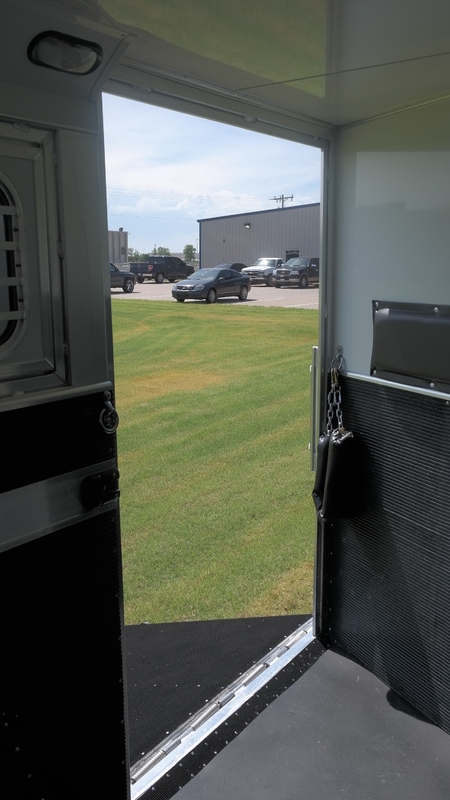 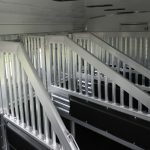 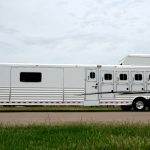 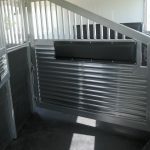 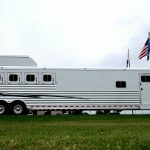 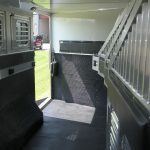 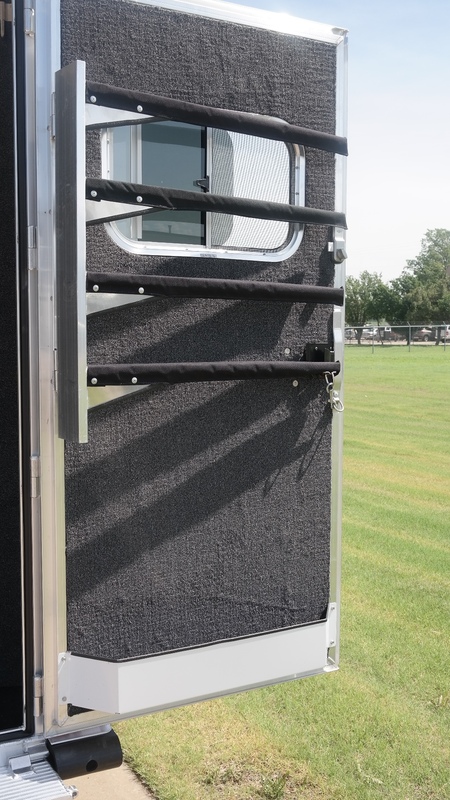 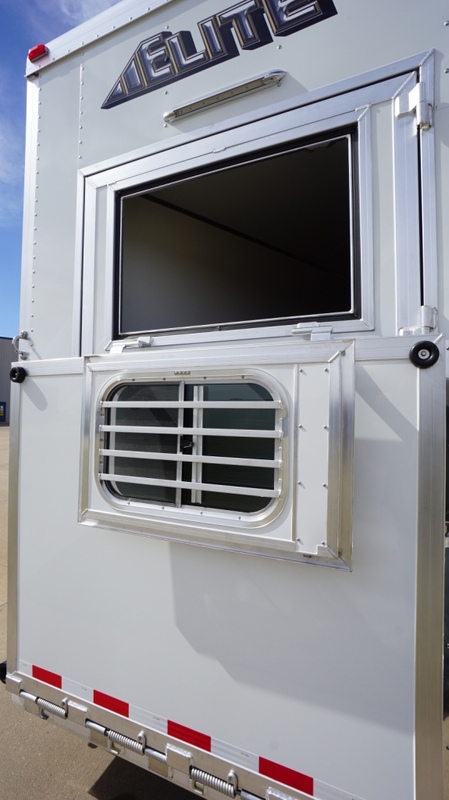 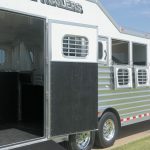 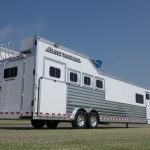 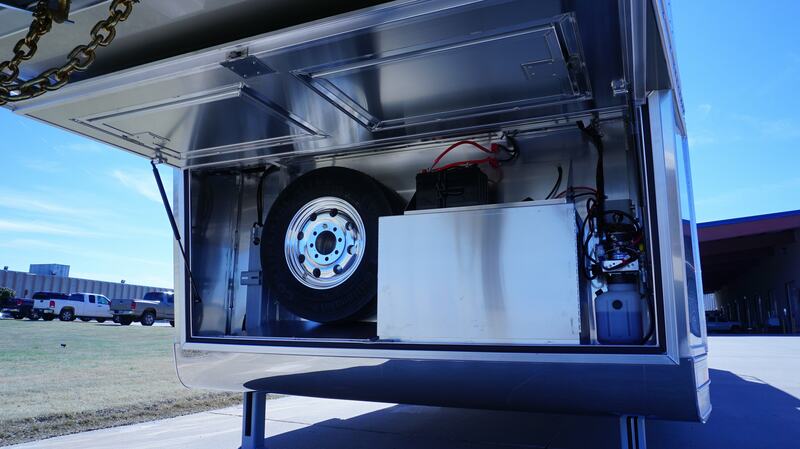 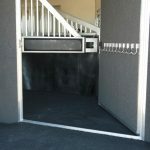 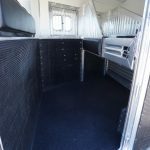 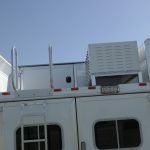 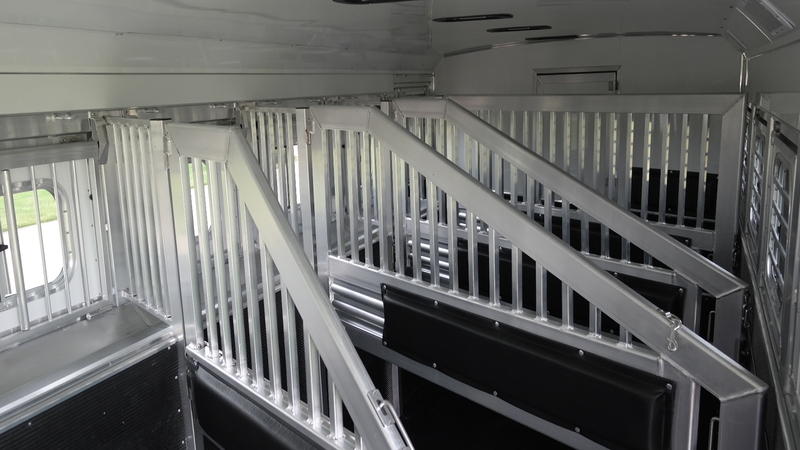 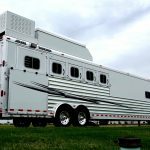 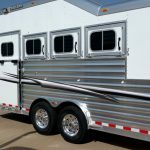 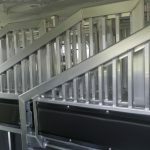 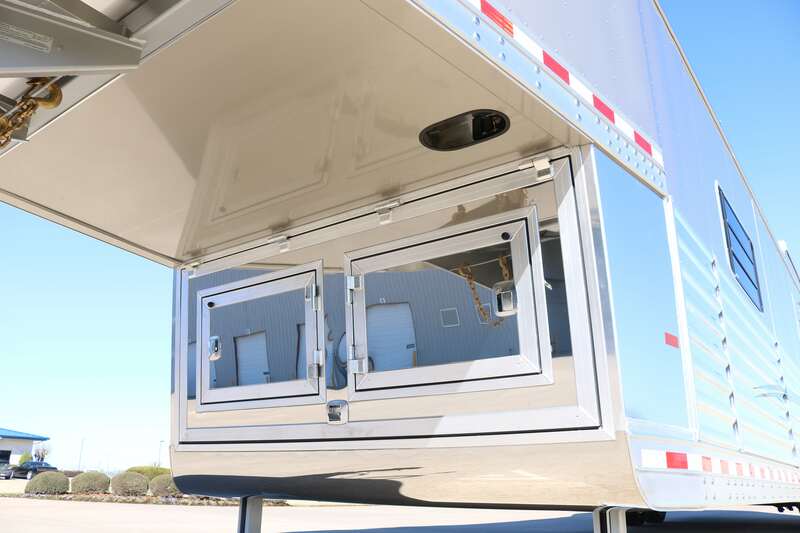 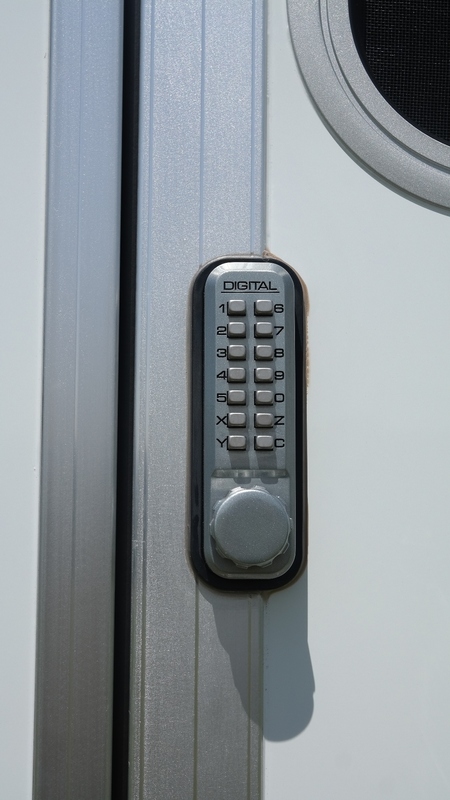 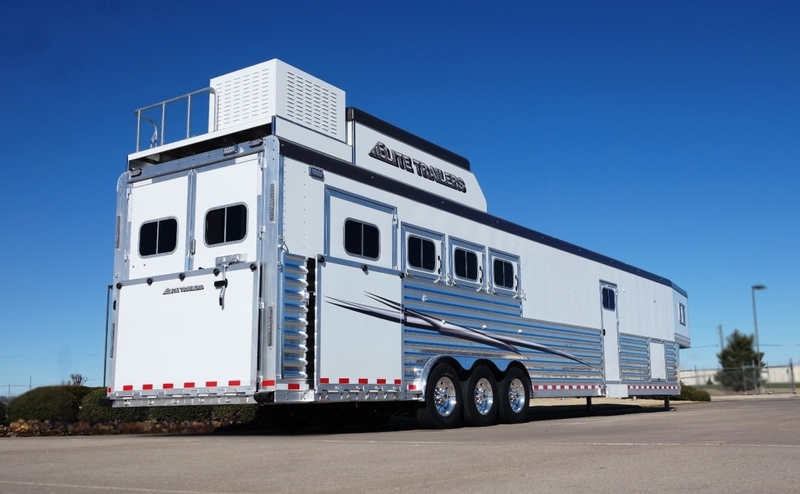 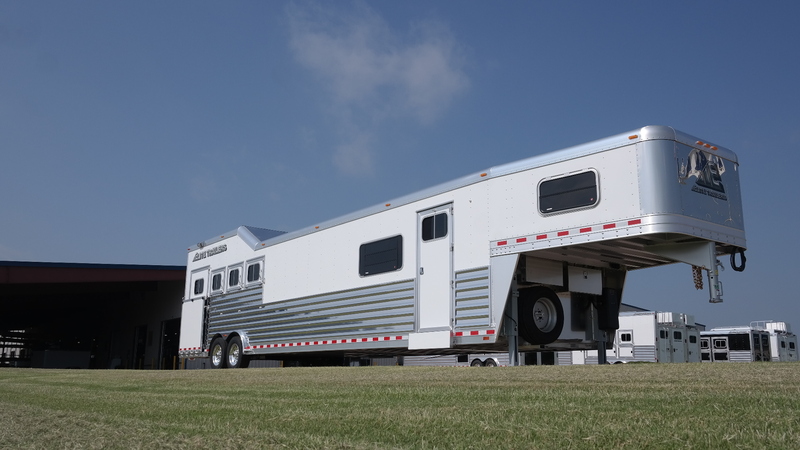 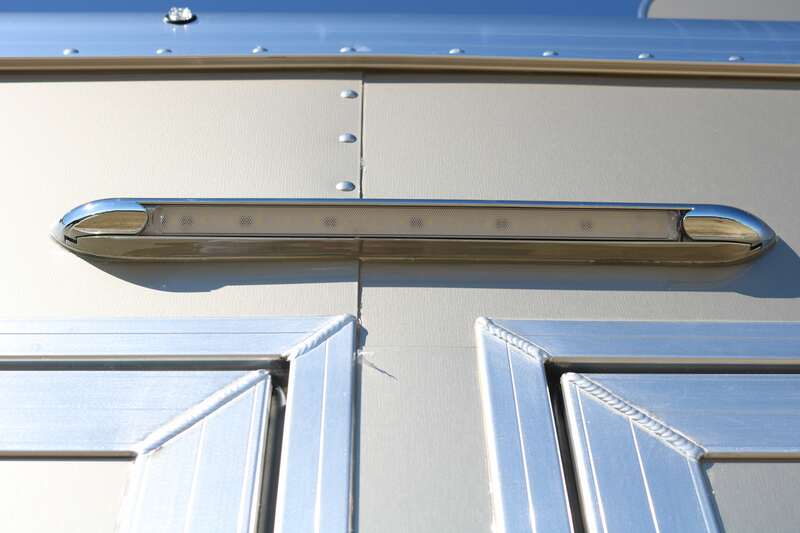 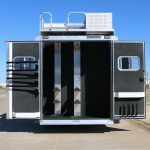 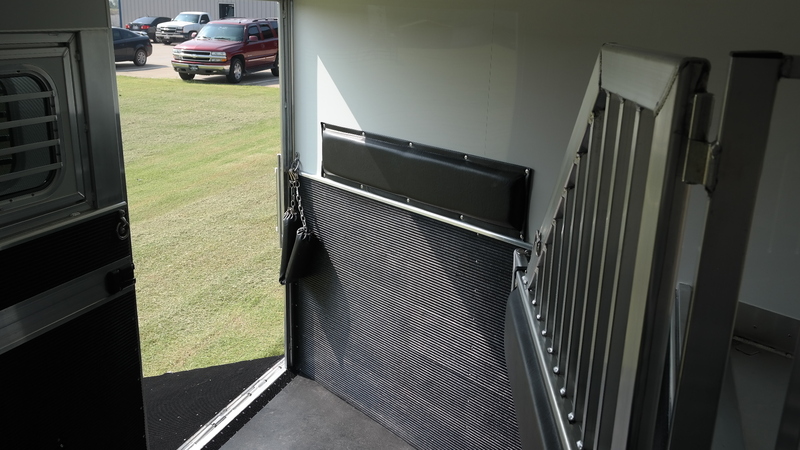 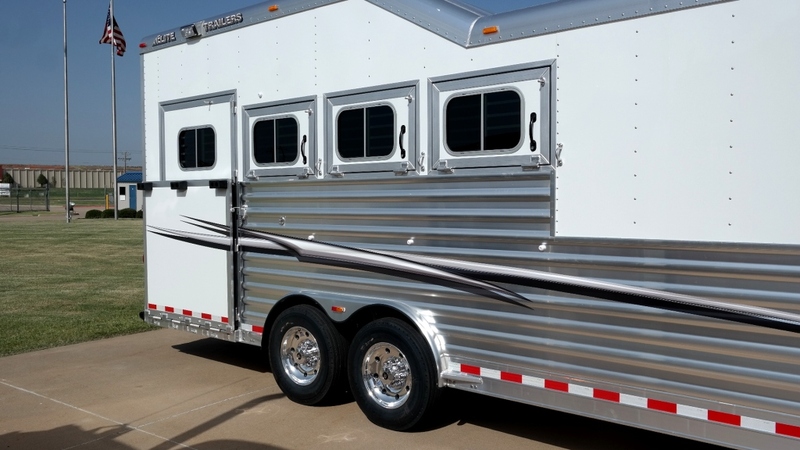 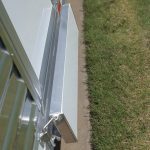 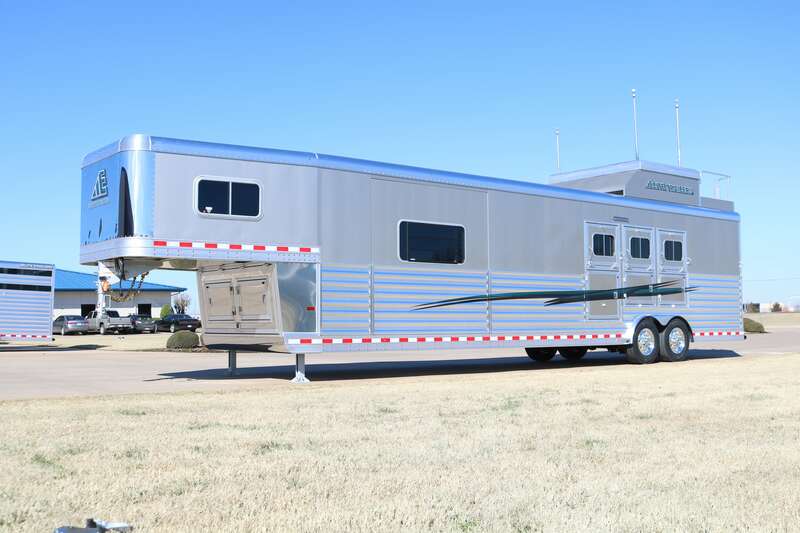 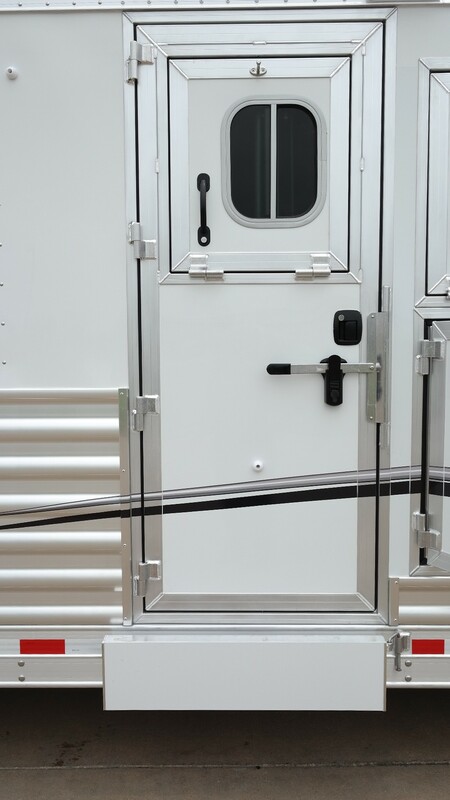 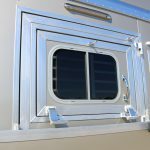 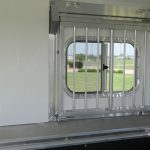 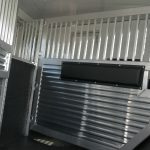 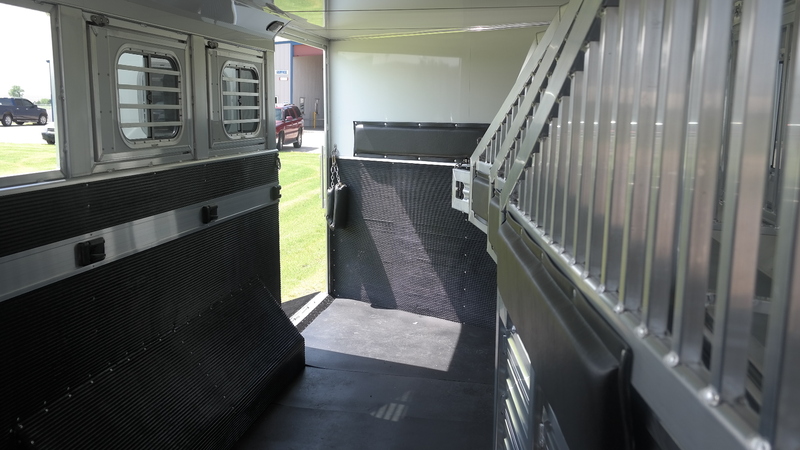 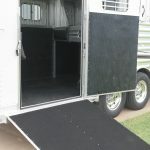 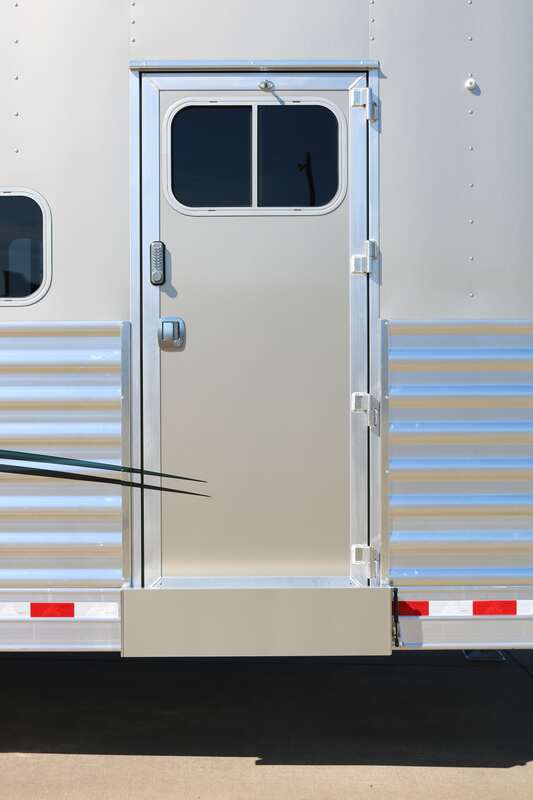 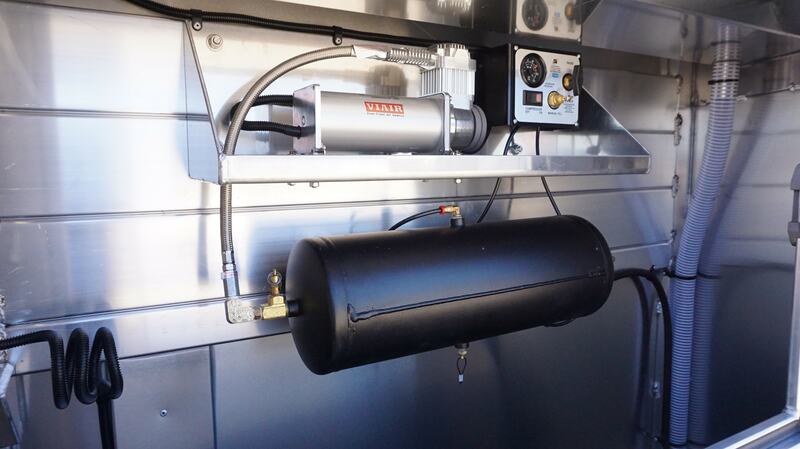 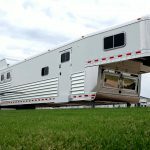 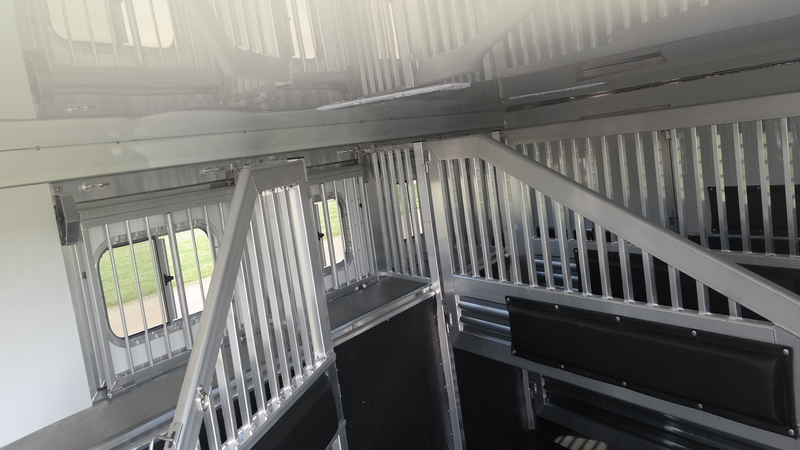 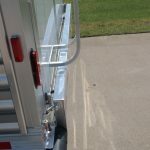 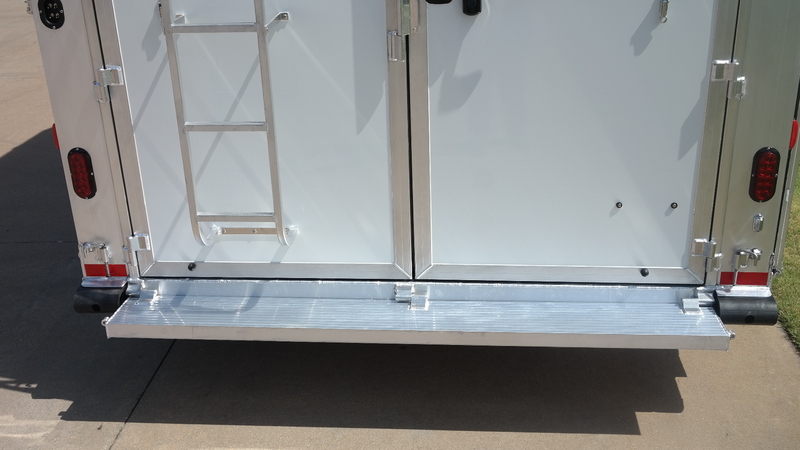 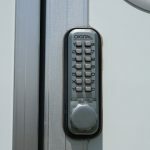 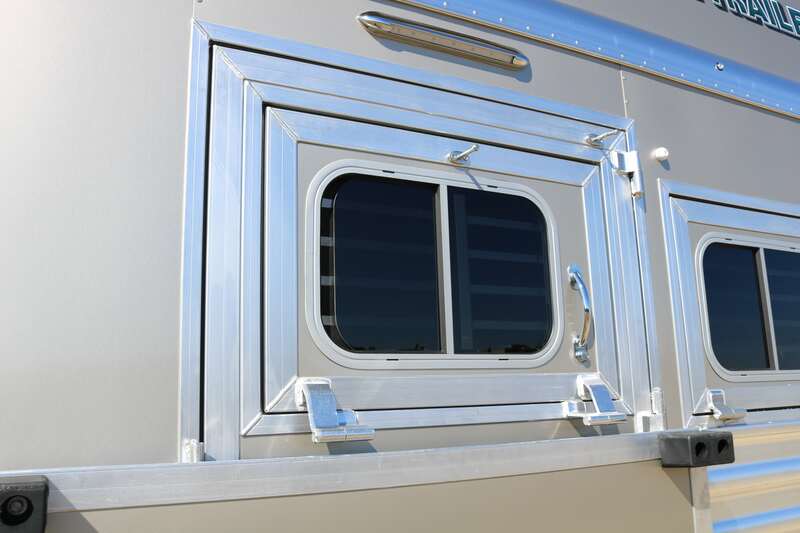 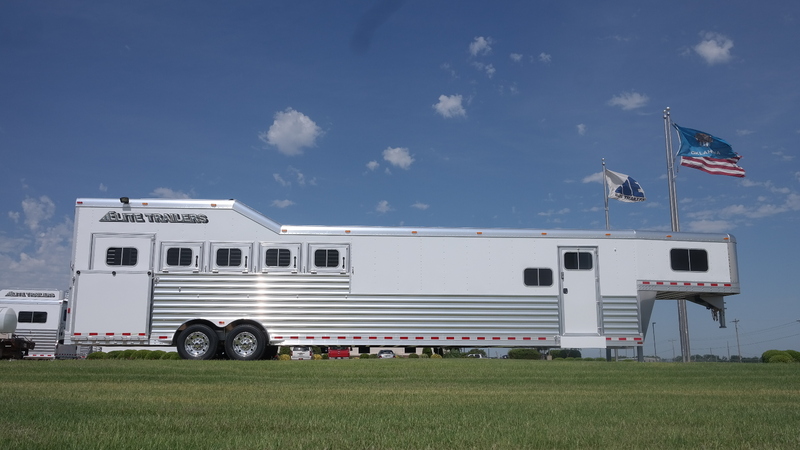 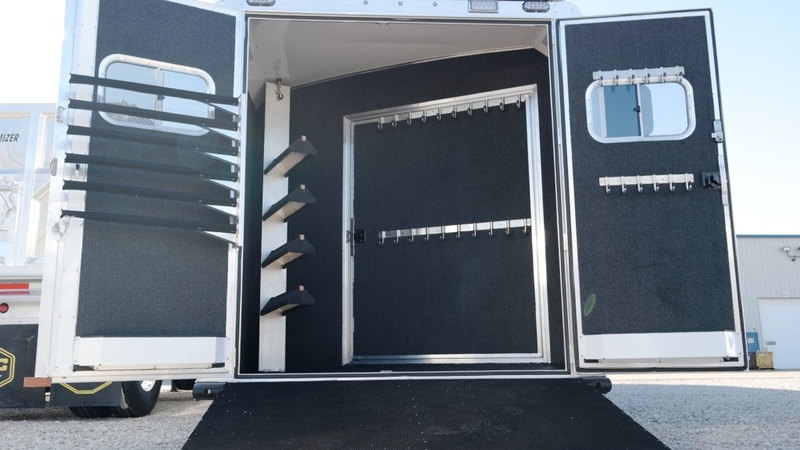 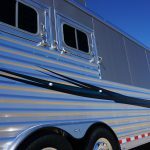 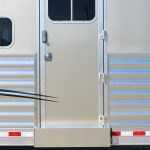 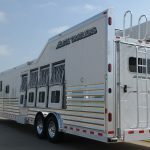 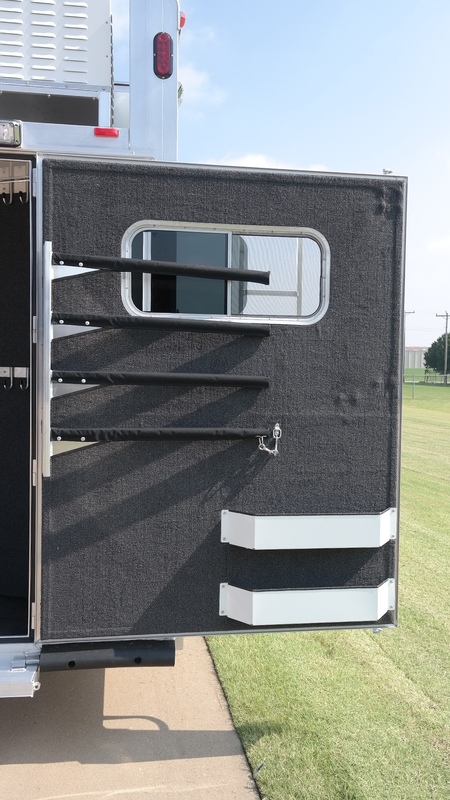 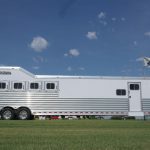 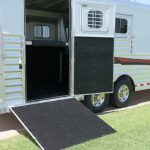 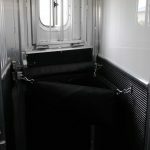 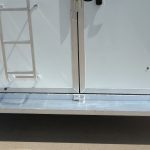 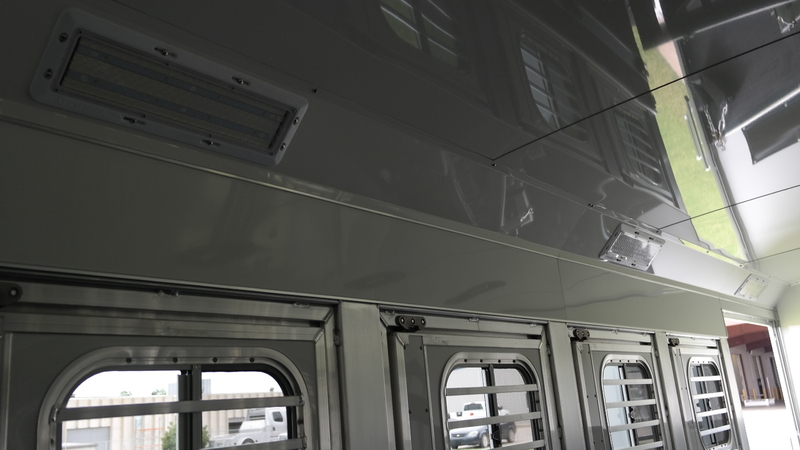 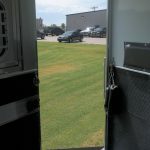 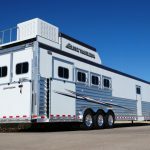 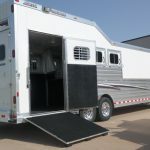 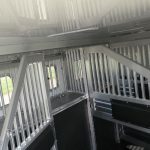 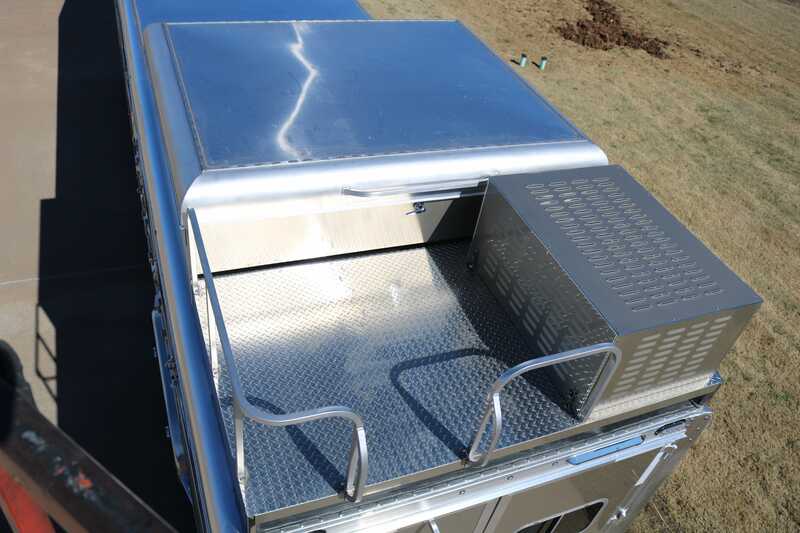 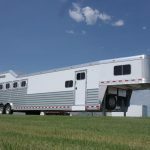 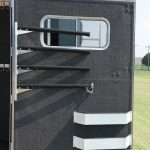 The largest advantage for this trailer is the utilization of the space at the rear of the trailer to give you a more spacious tack area in the rear. 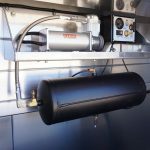 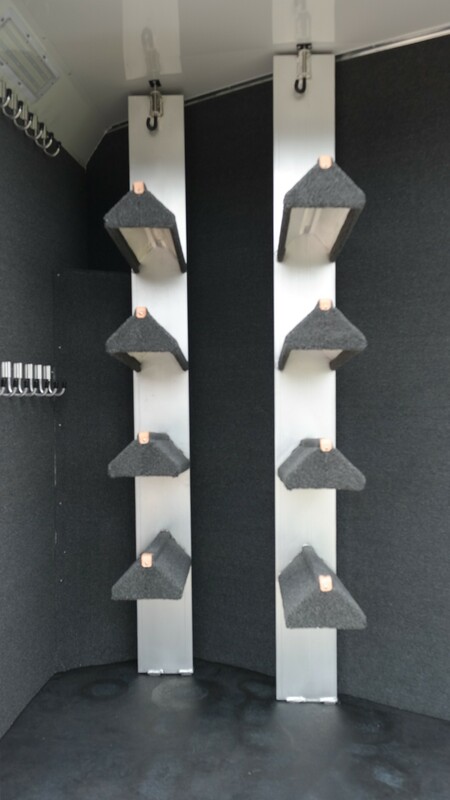 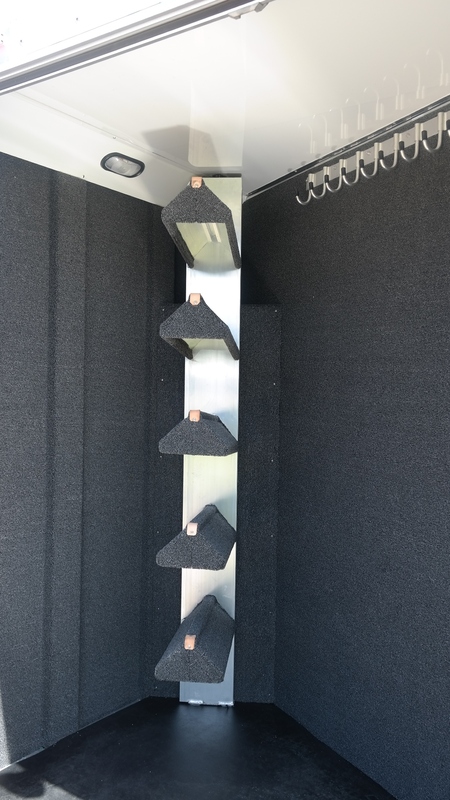 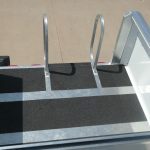 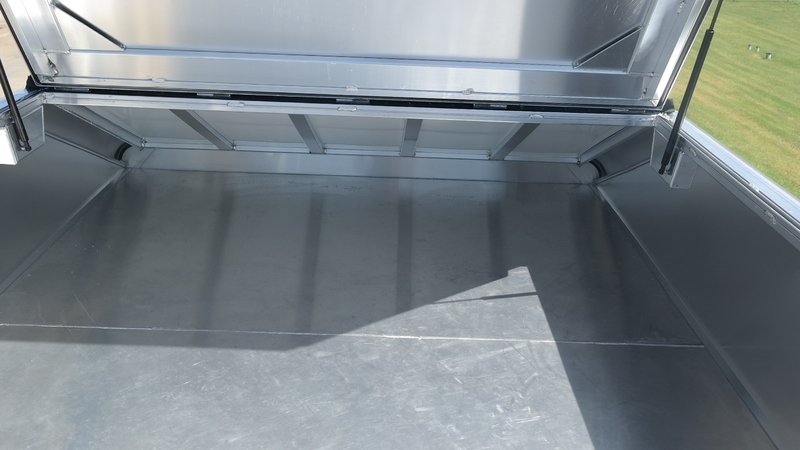 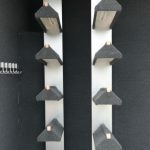 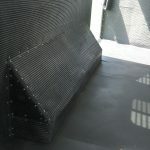 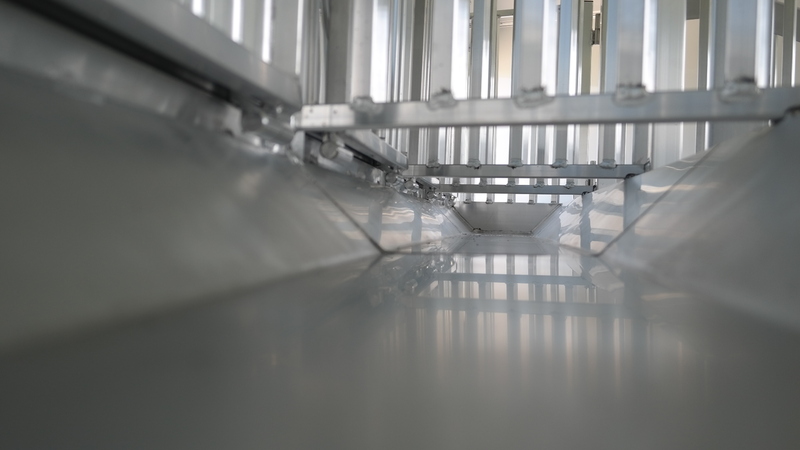 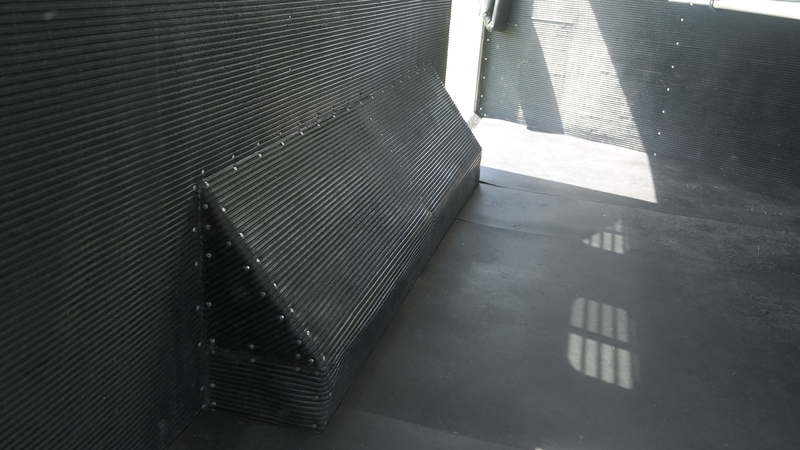 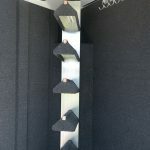 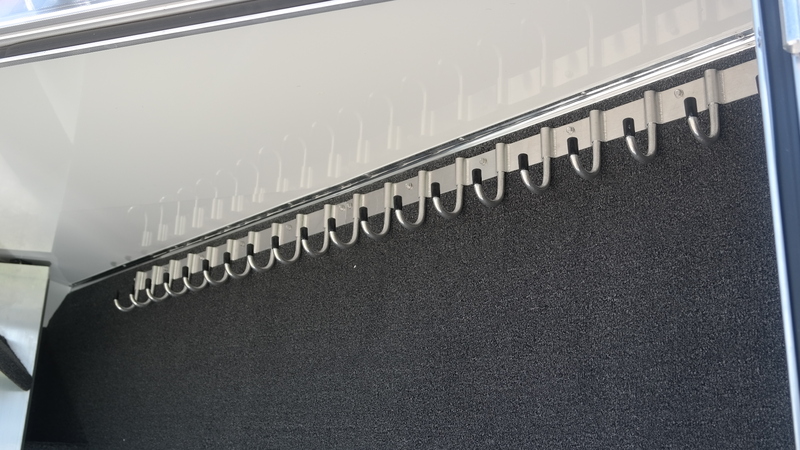 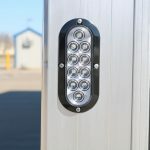 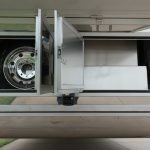 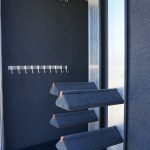 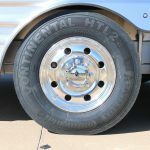 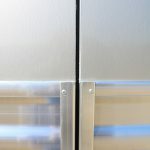 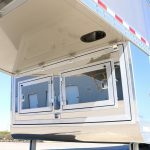 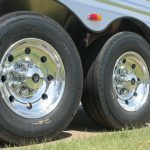 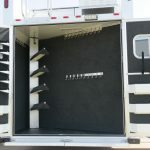 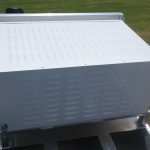 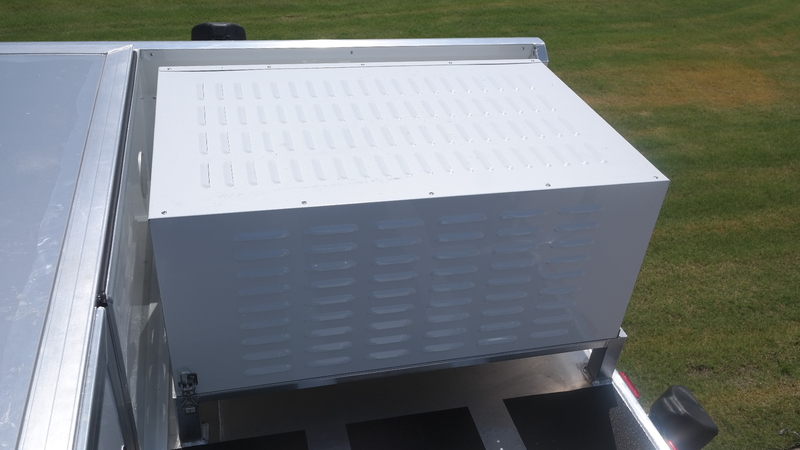 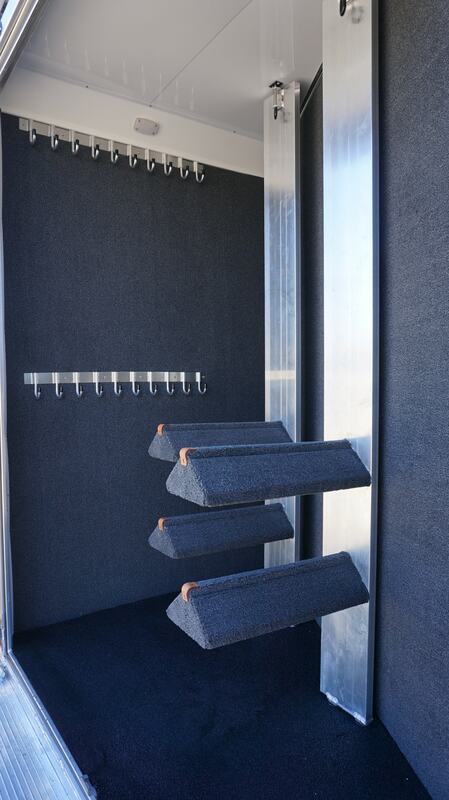 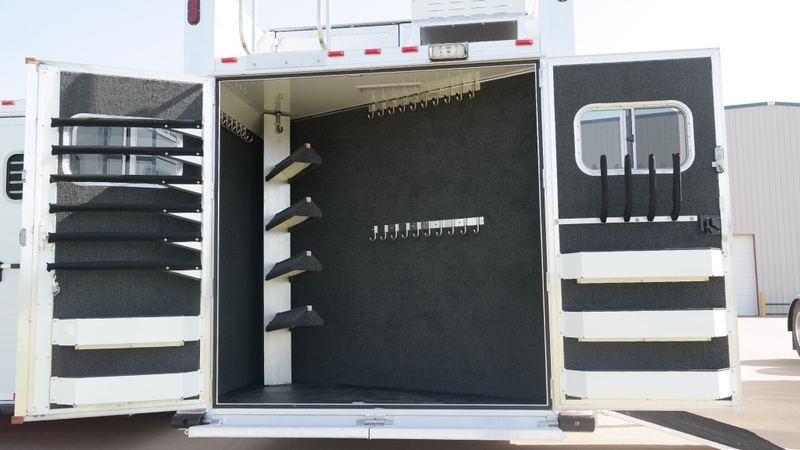 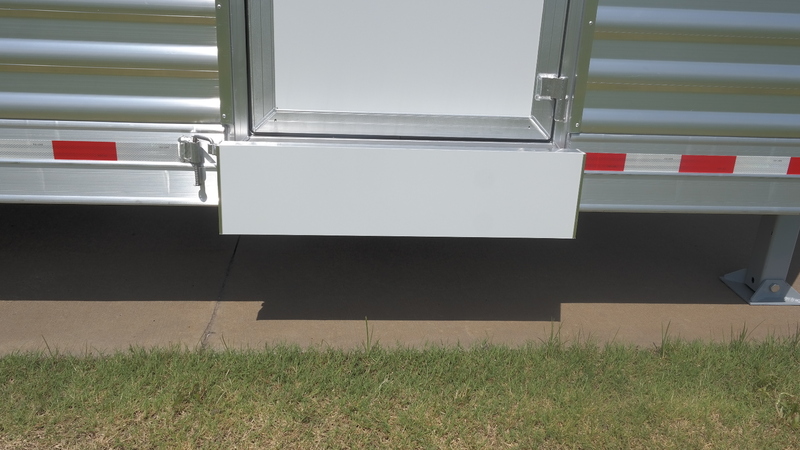 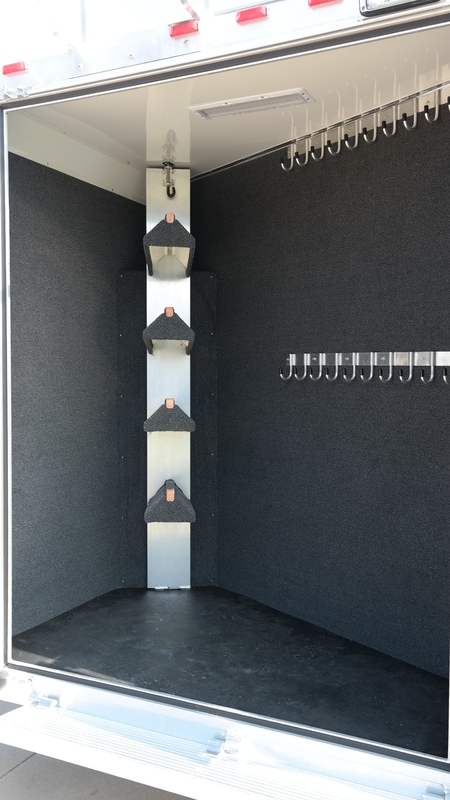 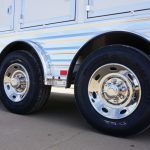 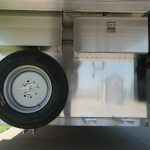 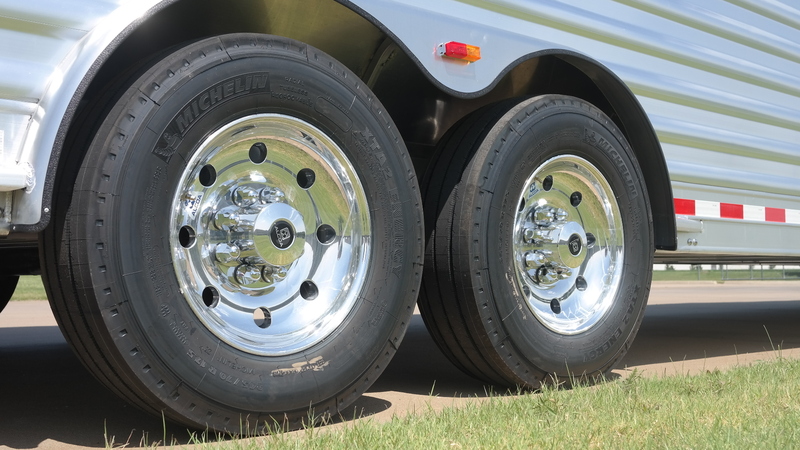 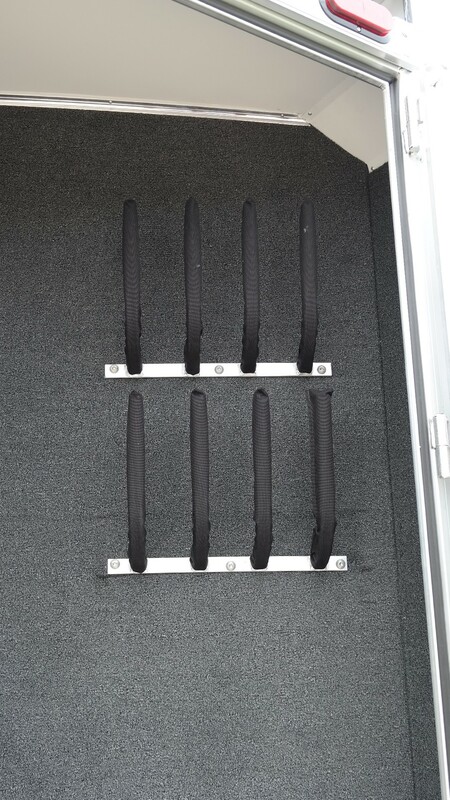 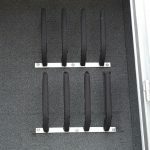 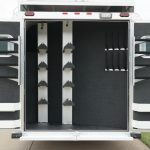 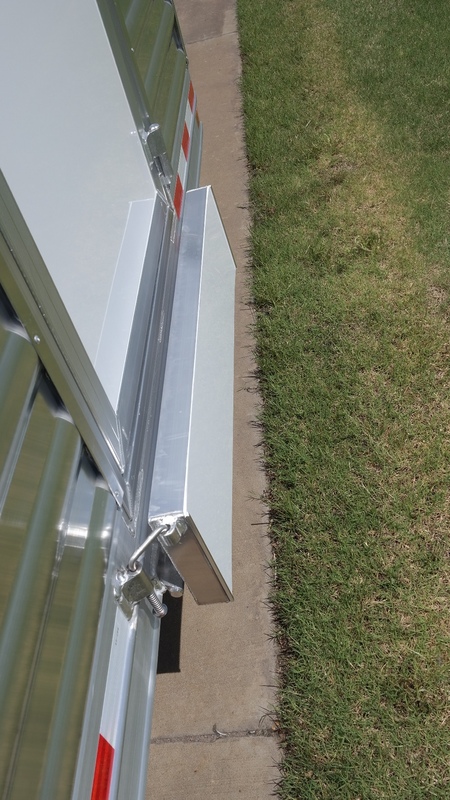 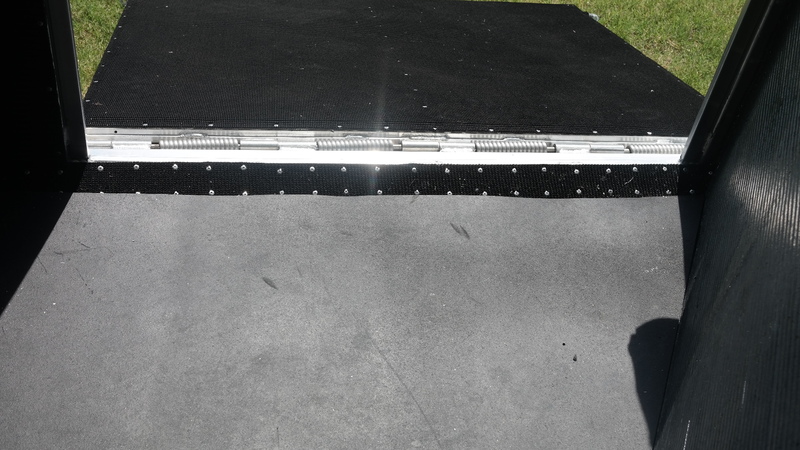 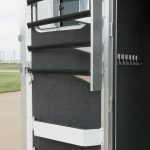 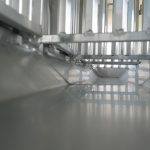 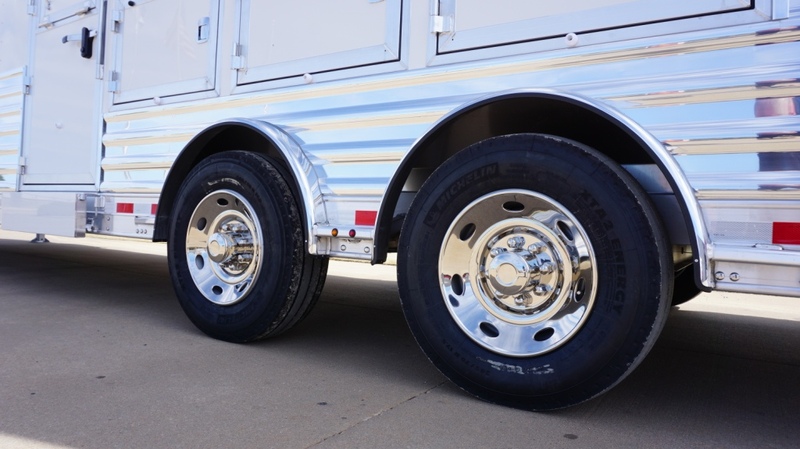 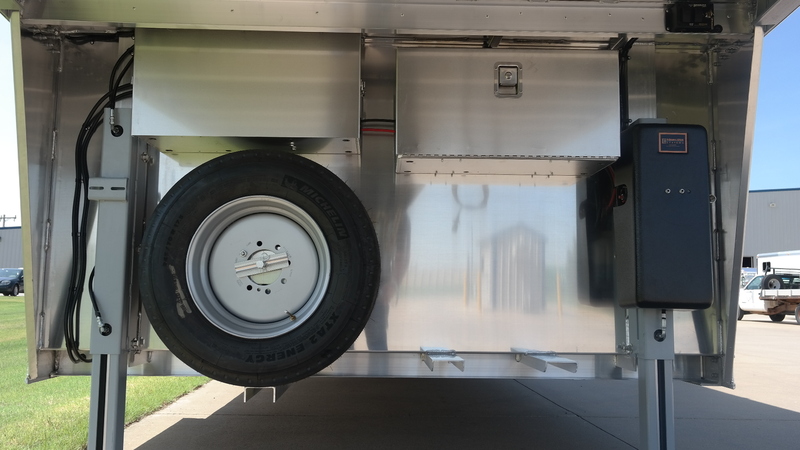 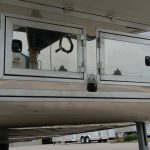 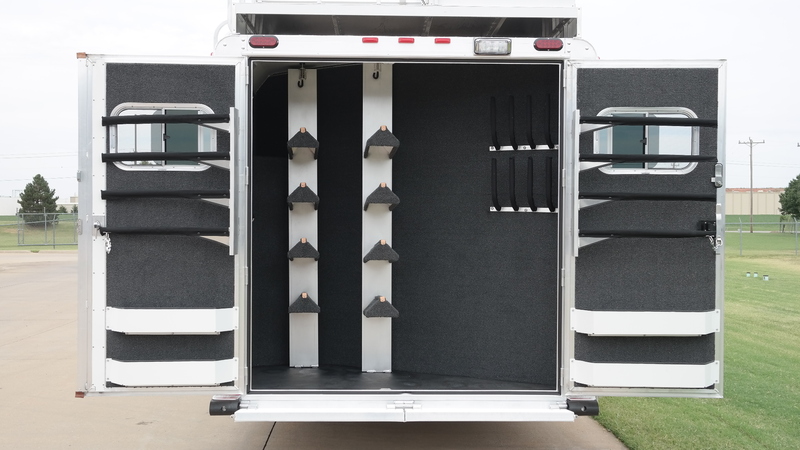 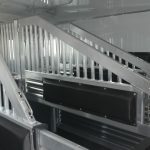 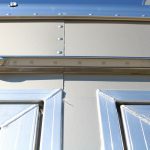 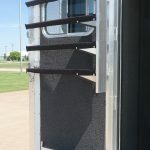 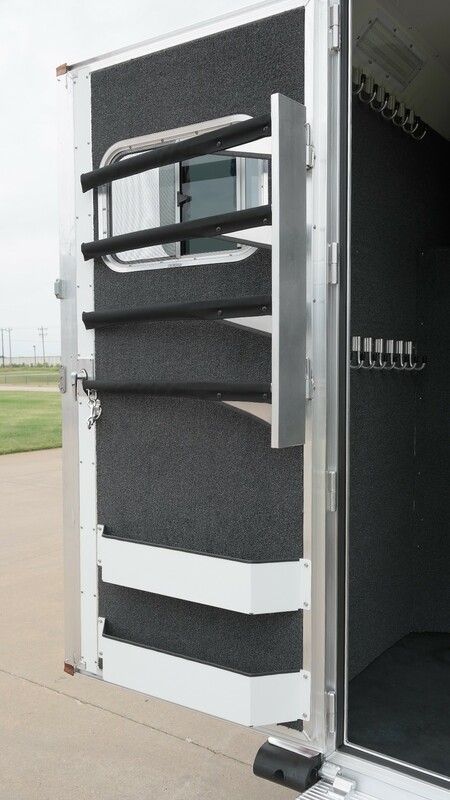 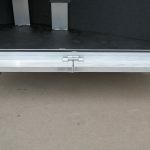 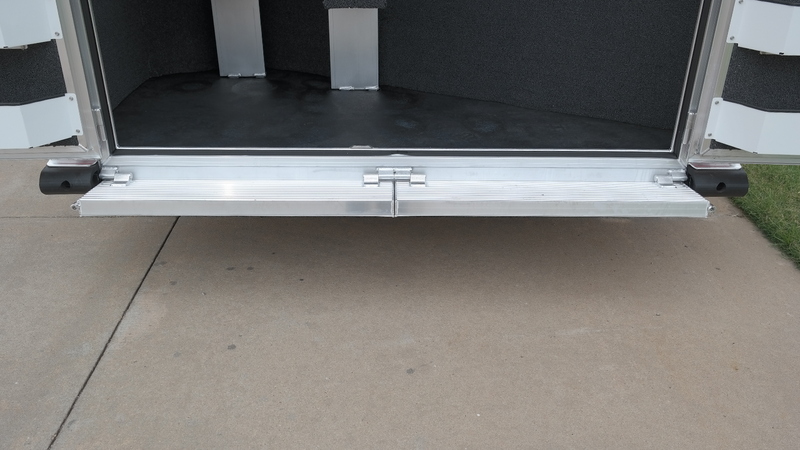 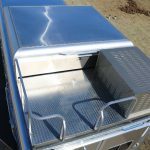 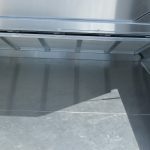 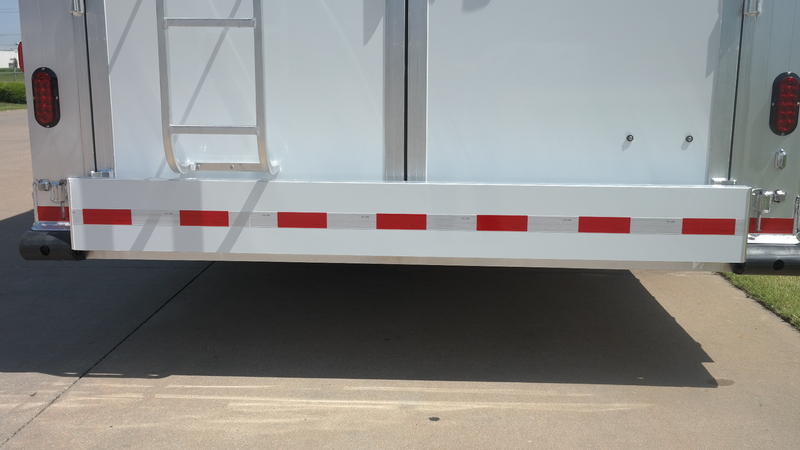 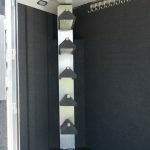 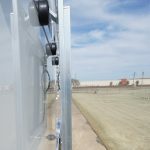 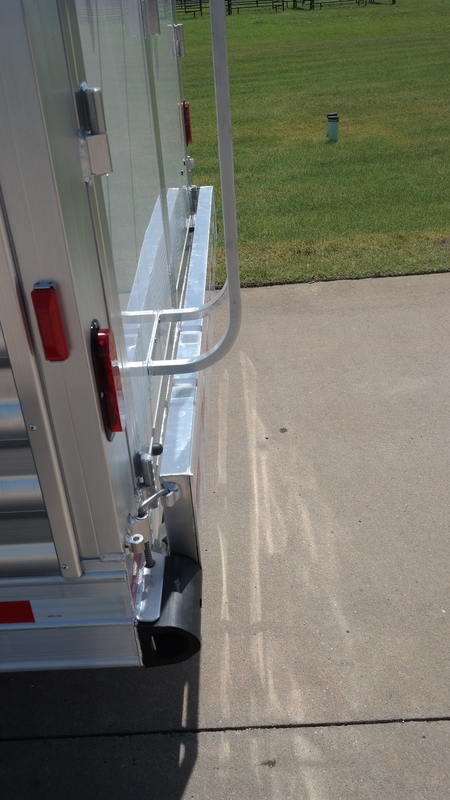 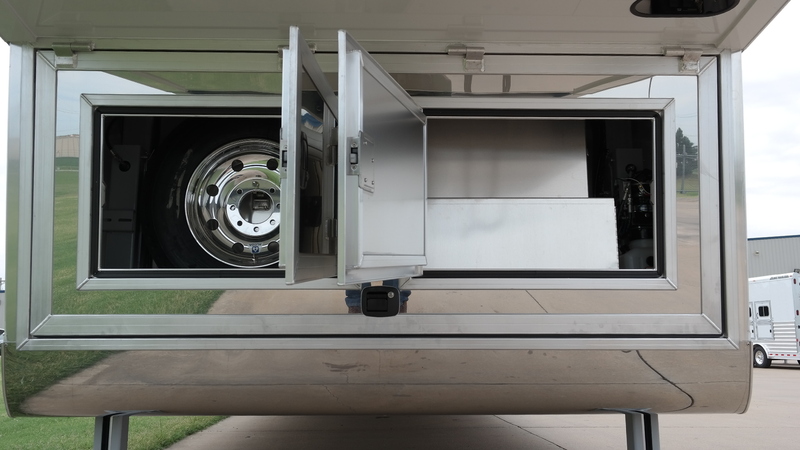 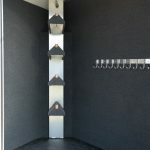 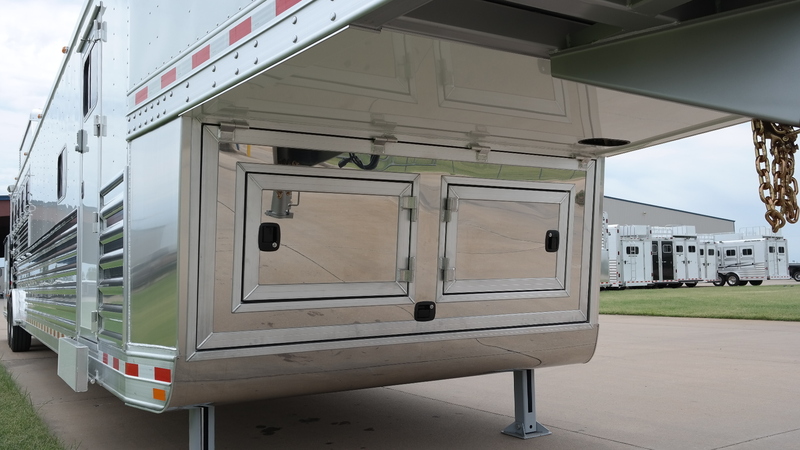 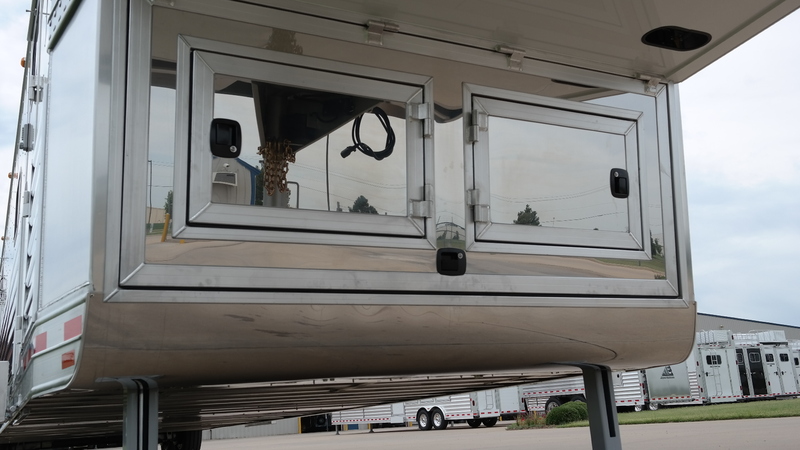 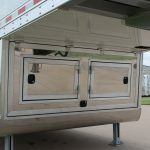 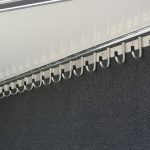 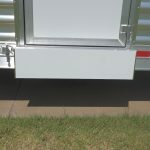 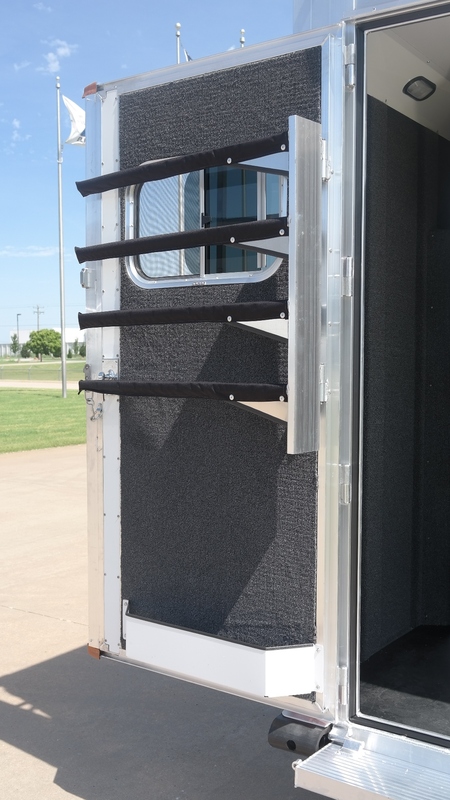 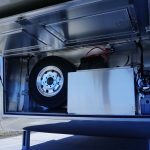 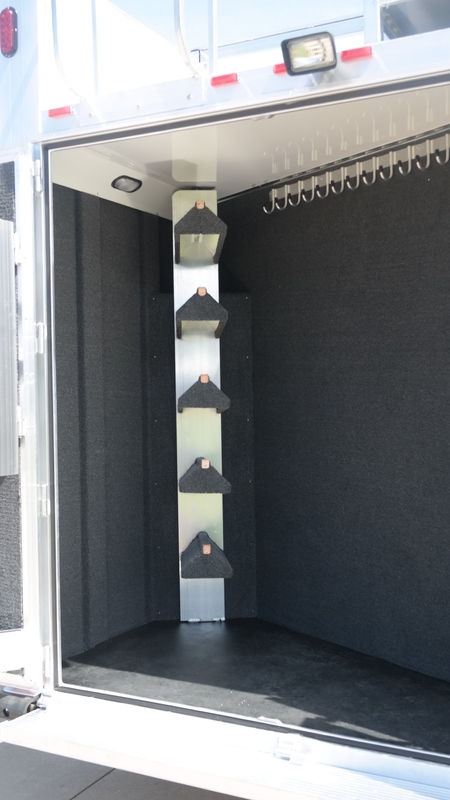 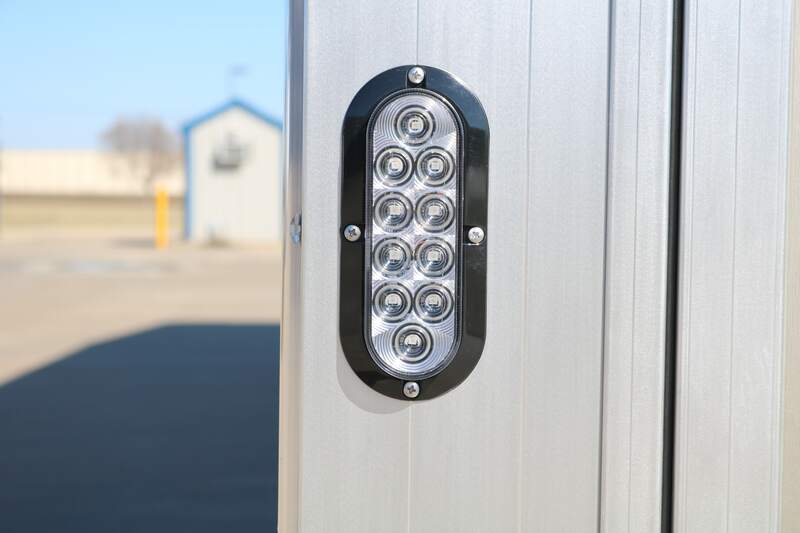 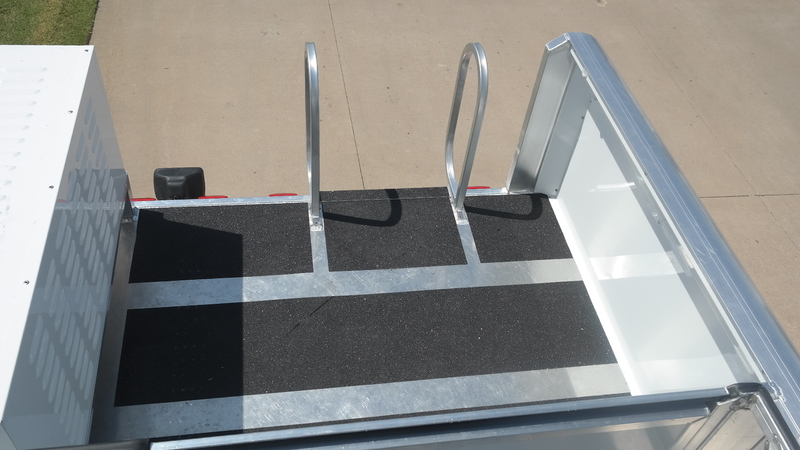 Many of the customers that previously utilized a mid tack are looking to this design to gain additional tack space from the slant load, yet make the trailer shorter than it would be with a mid tack.